I was instantly captivated by the score of In the Heights the first time I heard it over 9 years ago shortly after it debuted on Broadway. 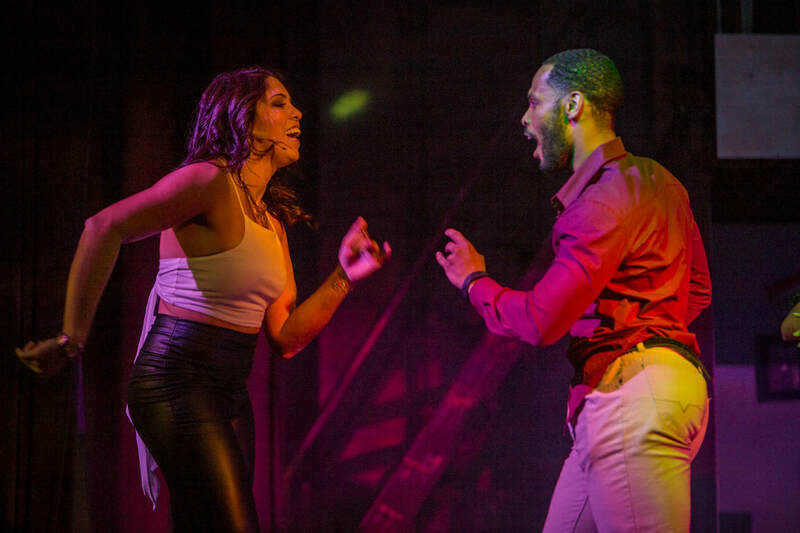 It wasn’t just the infectious and thrilling Salsa and Hip-Hop infused music with an emphasis on a combination of Latin and African-American influences that hooked me. 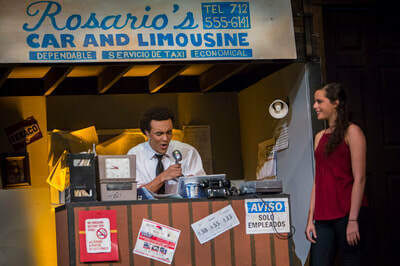 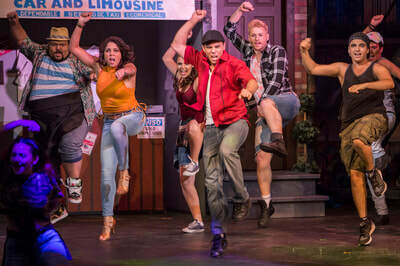 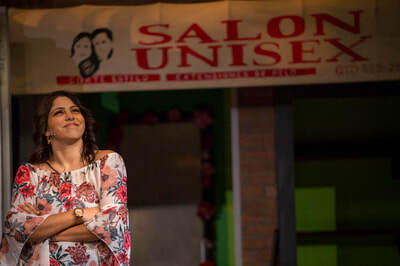 It was also the show’s themes of smart, proud, hard working Hispanic immigrants celebrating their culture and coming together to triumph over adversity to achieve their “American” dreams. 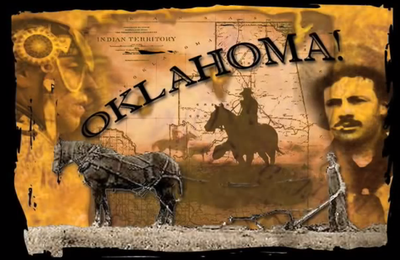 These themes are timeless. 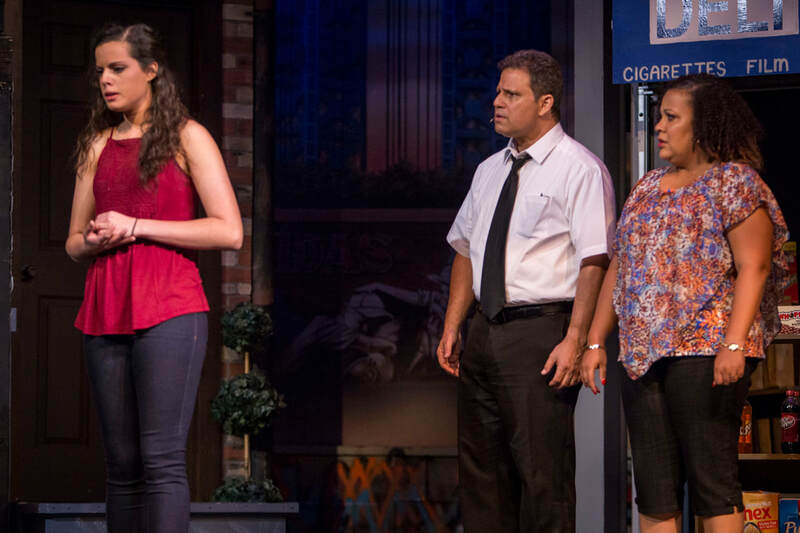 Certainly things anyone with any kind of immigrant roots - which is all of us - can relate to. 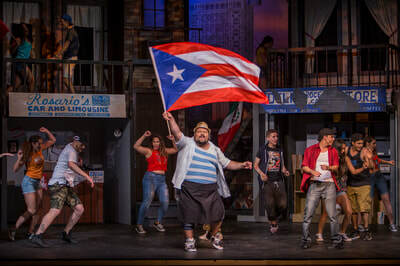 Even so, when Lin-Manuel Miranda’s smash hit musical won four Tony awards including the Tony for Best Musical in 2008, I doubt anyone could have foreseen the specific and urgent relevance this powerful story would have in America in 2017. 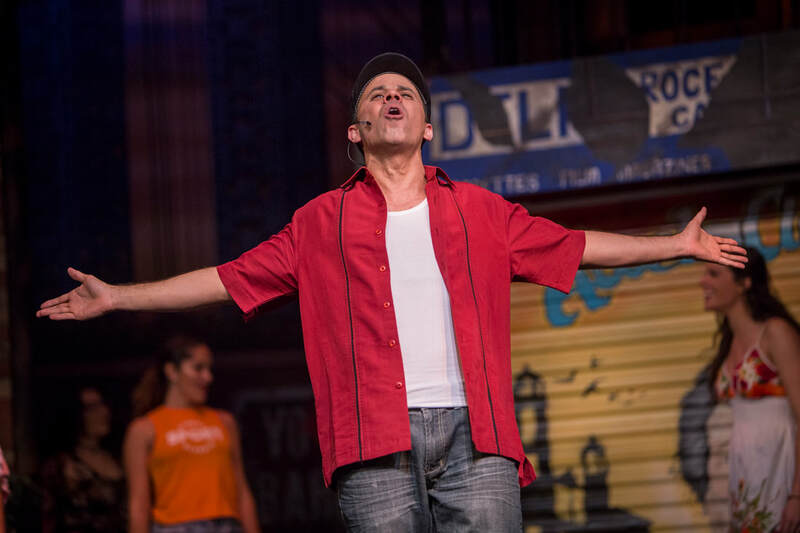 These are uncertain times in this country especially for immigrants. 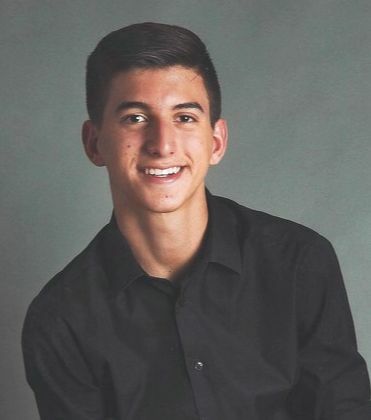 This story needs to be told now more than ever. Even as I wish the need wasn’t so dire, I couldn’t be more proud that this amazing group of story-tellers is bringing it to you here and now. 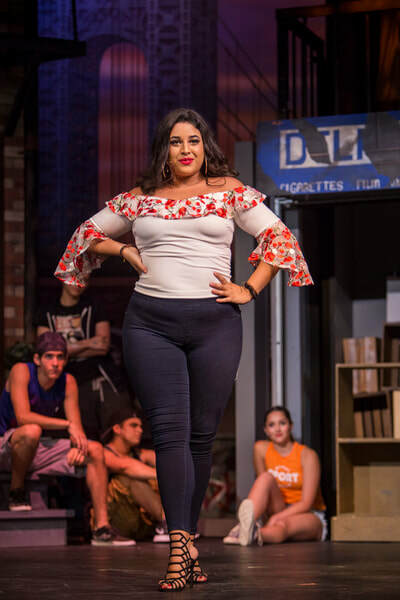 Many of the beautiful faces you see on stage here are the very people this story is about. 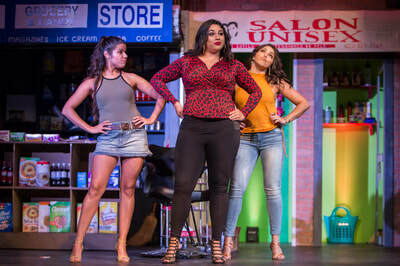 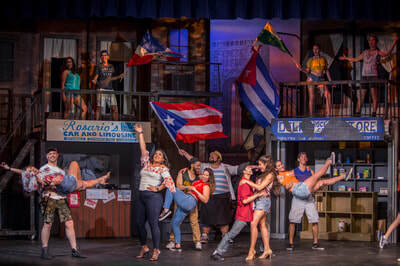 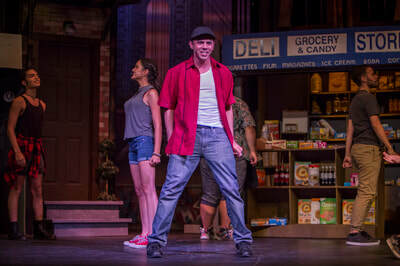 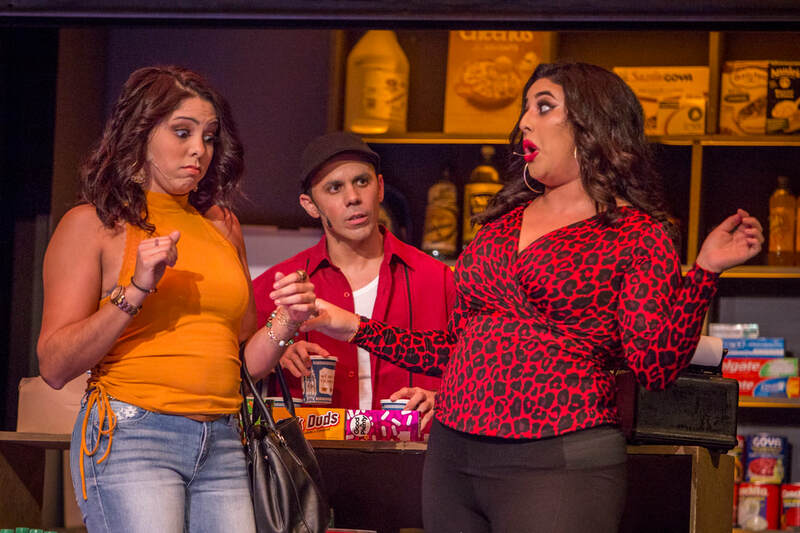 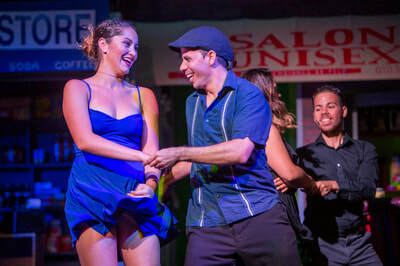 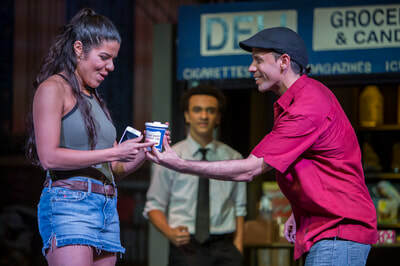 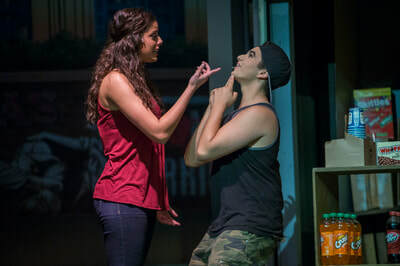 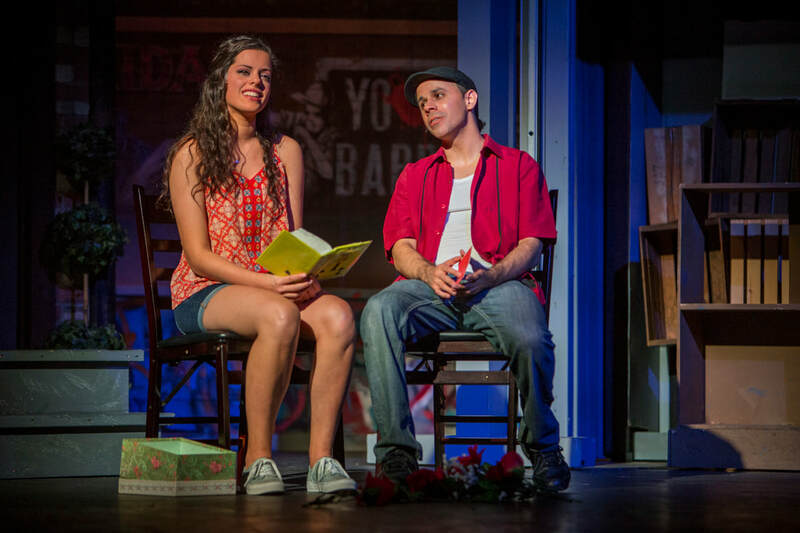 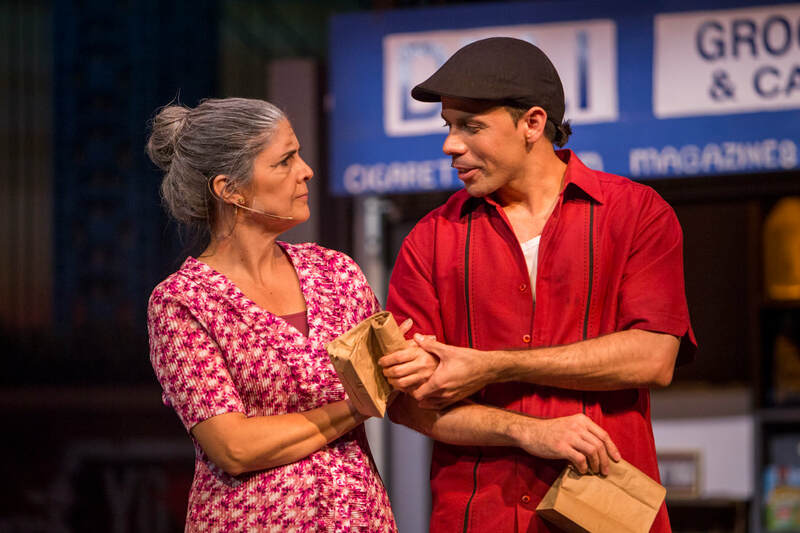 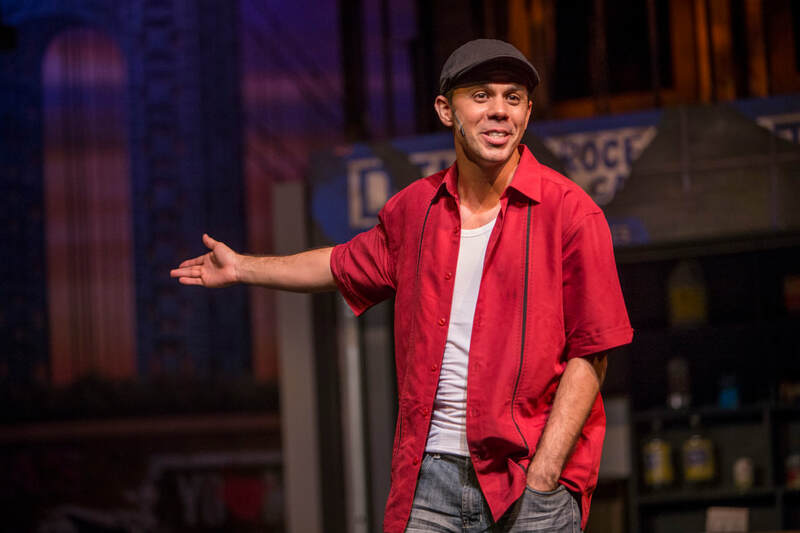 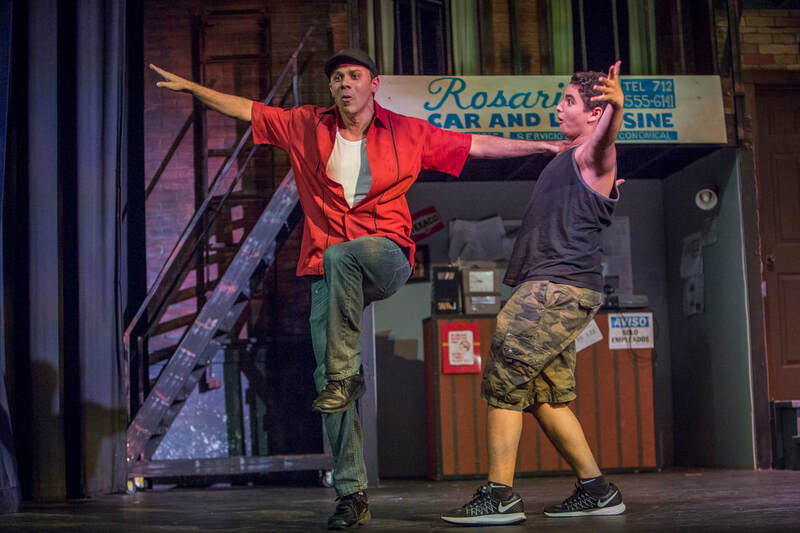 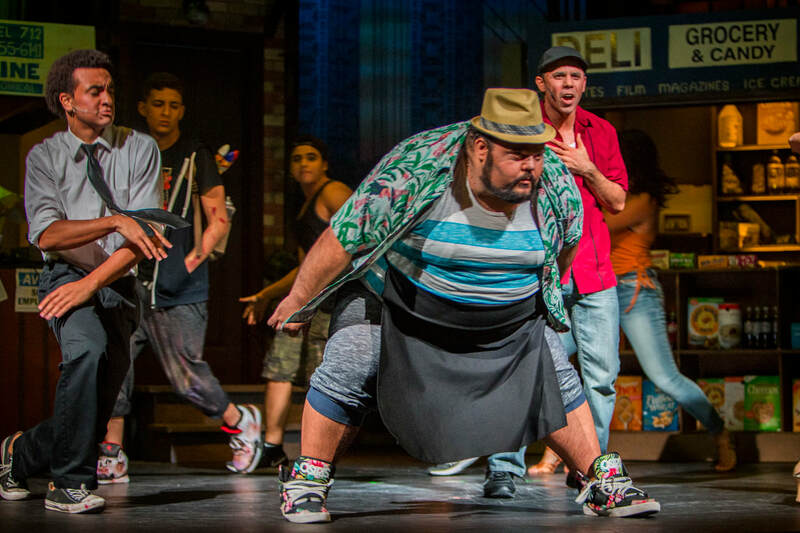 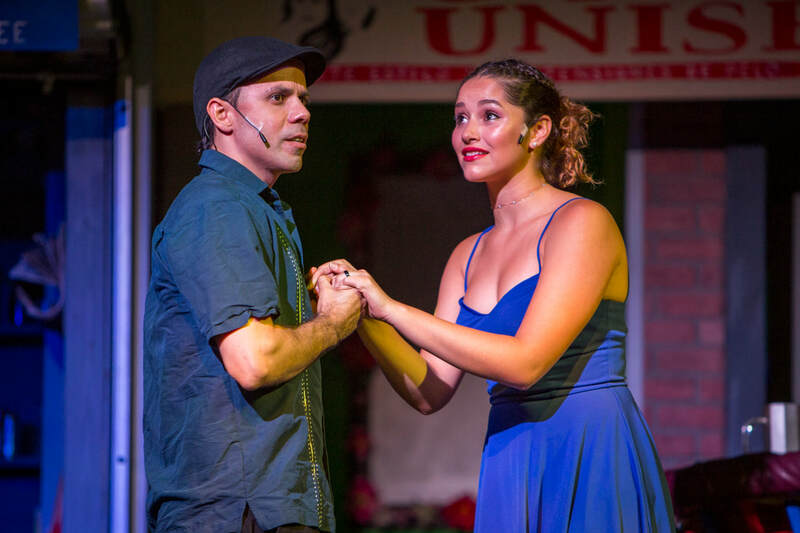 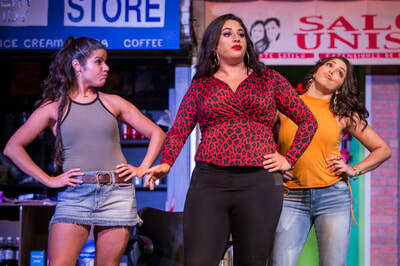 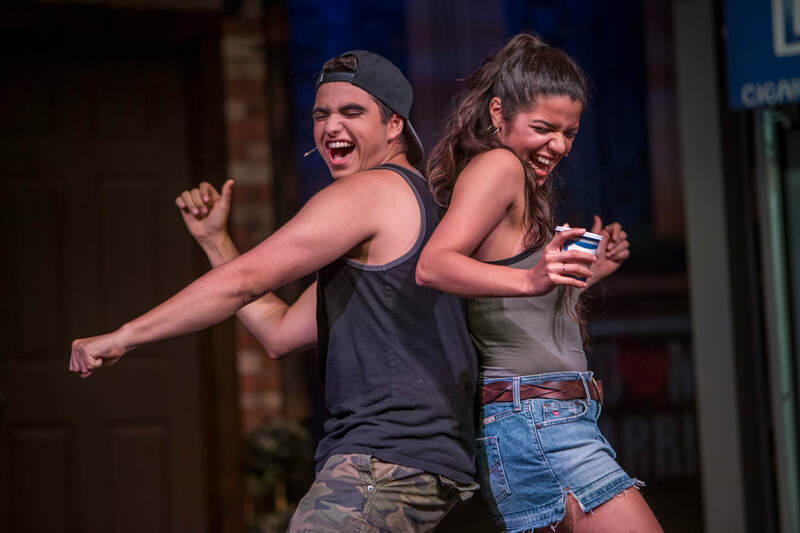 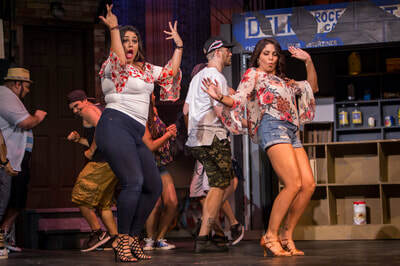 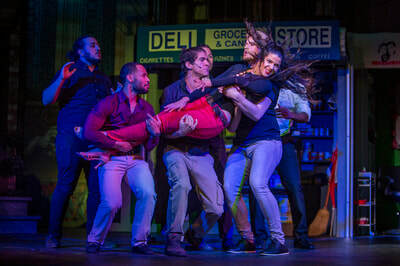 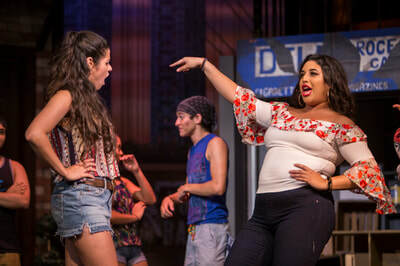 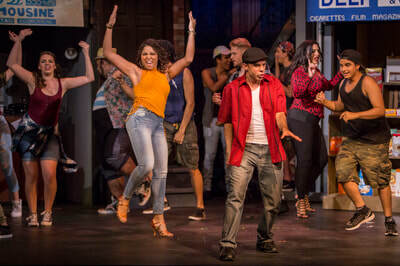 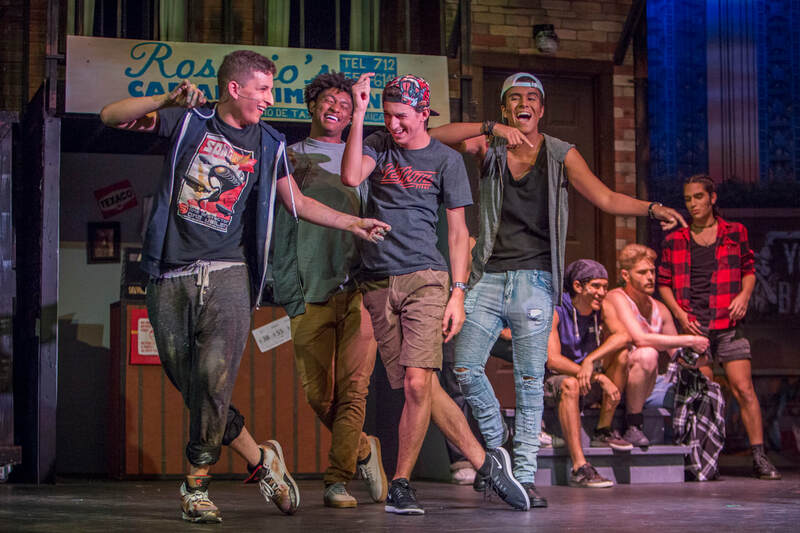 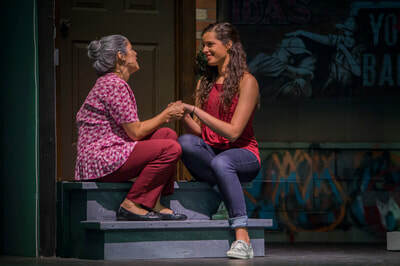 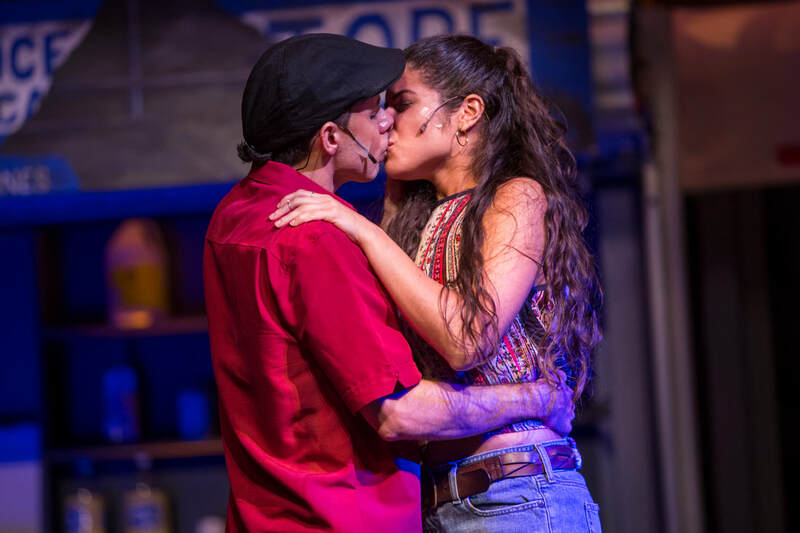 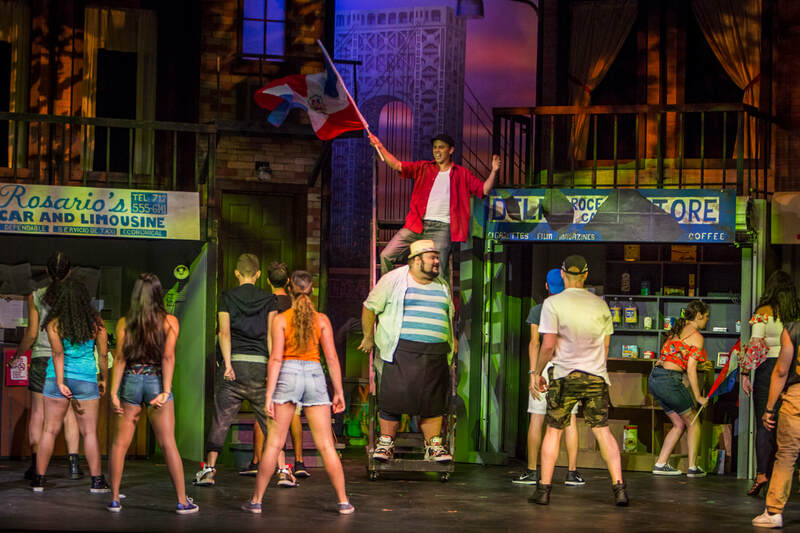 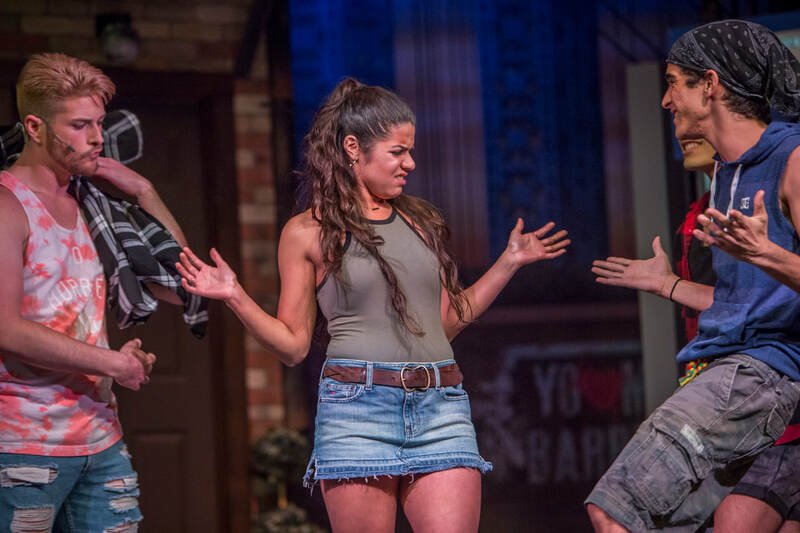 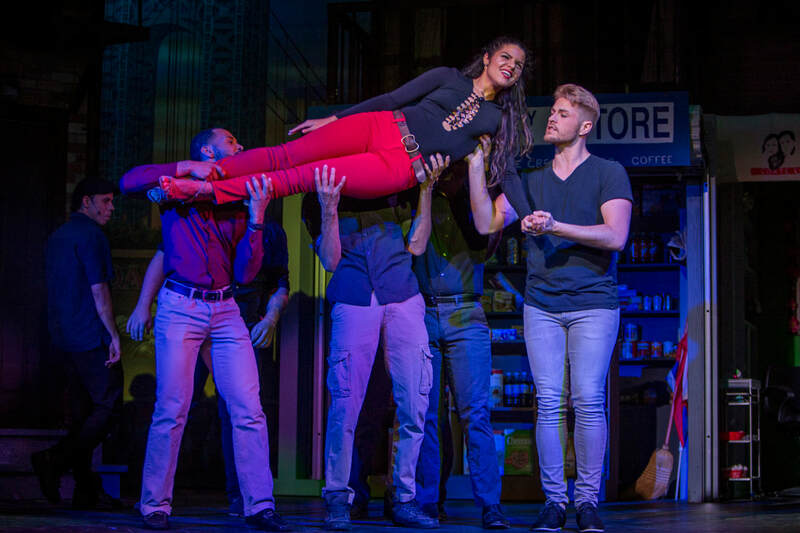 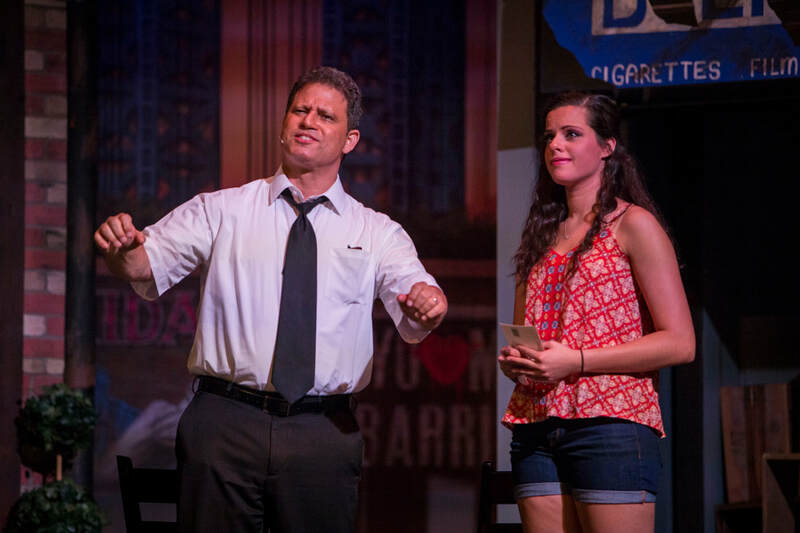 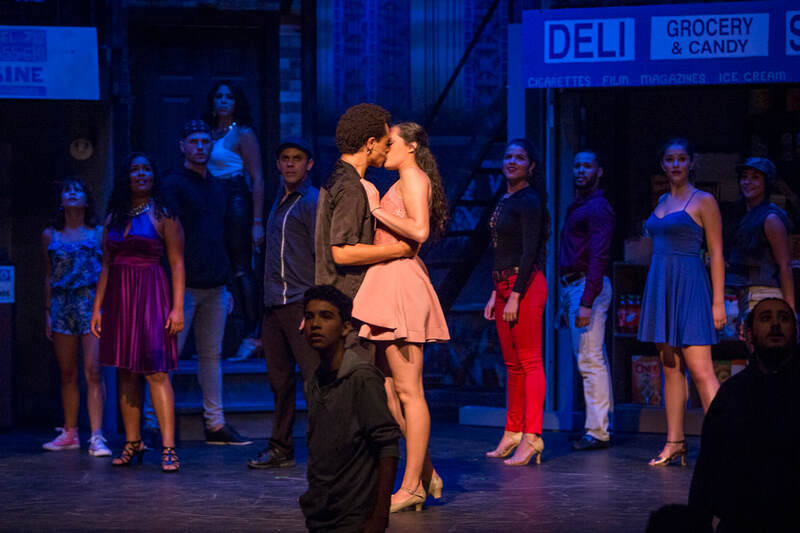 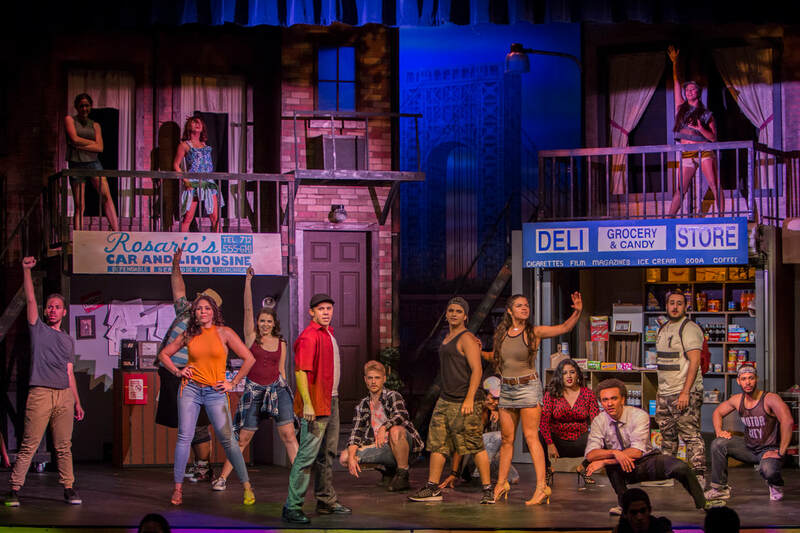 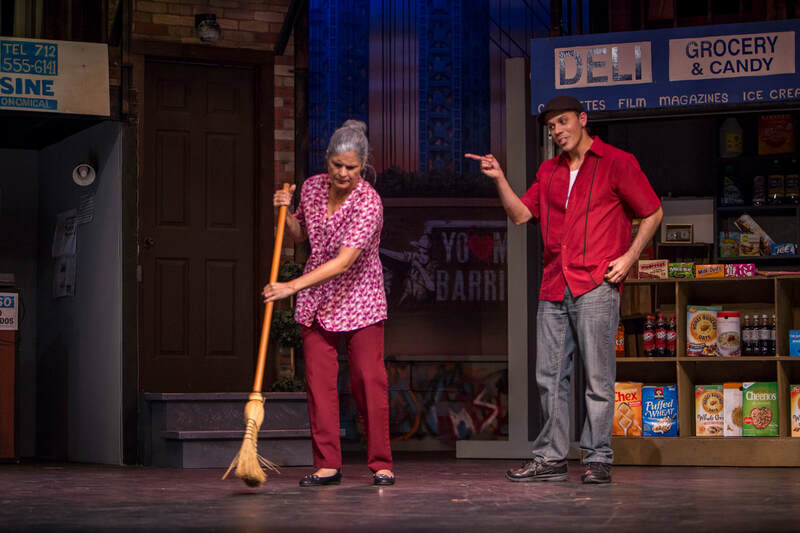 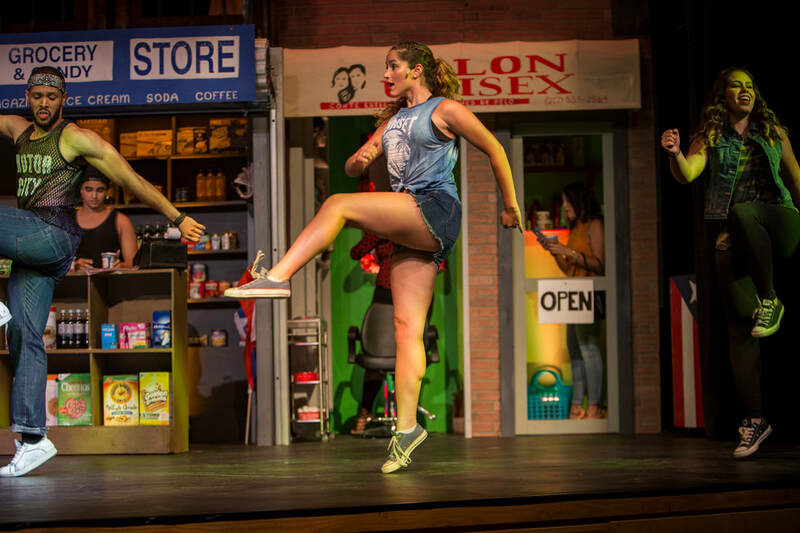 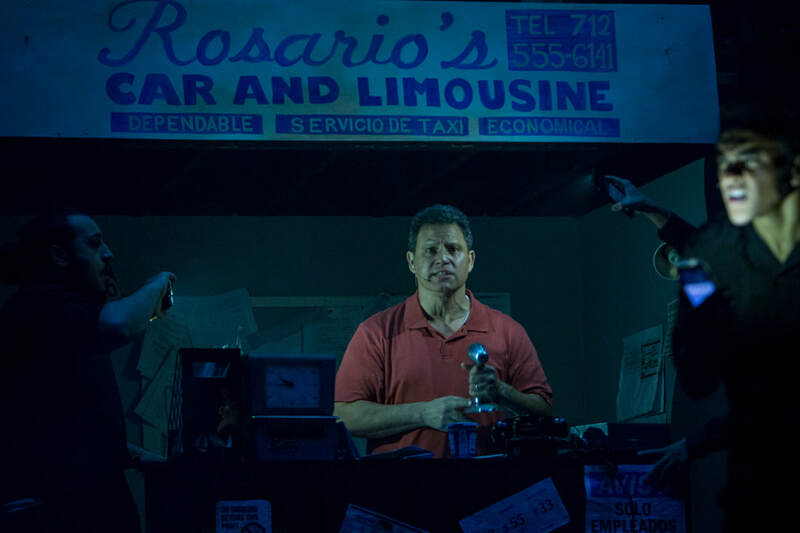 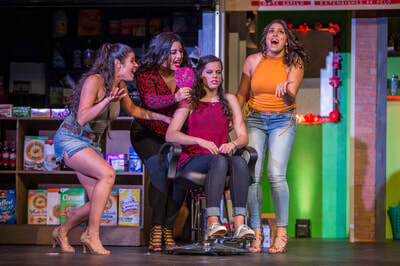 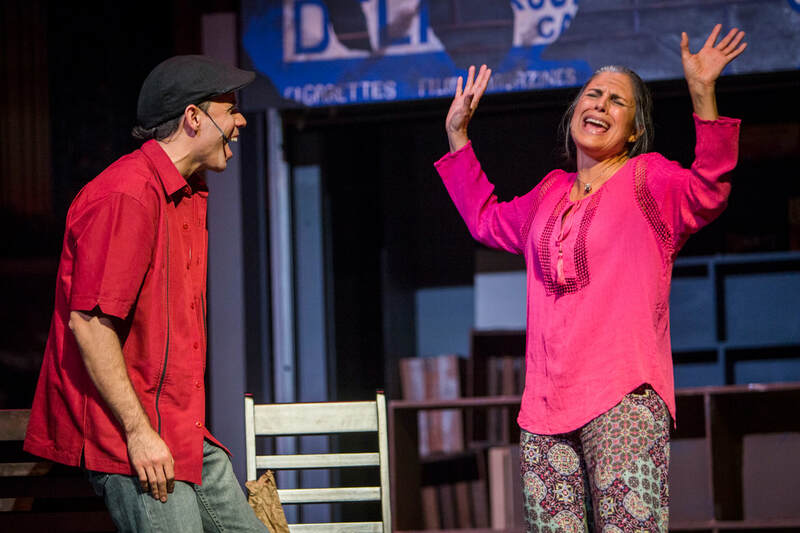 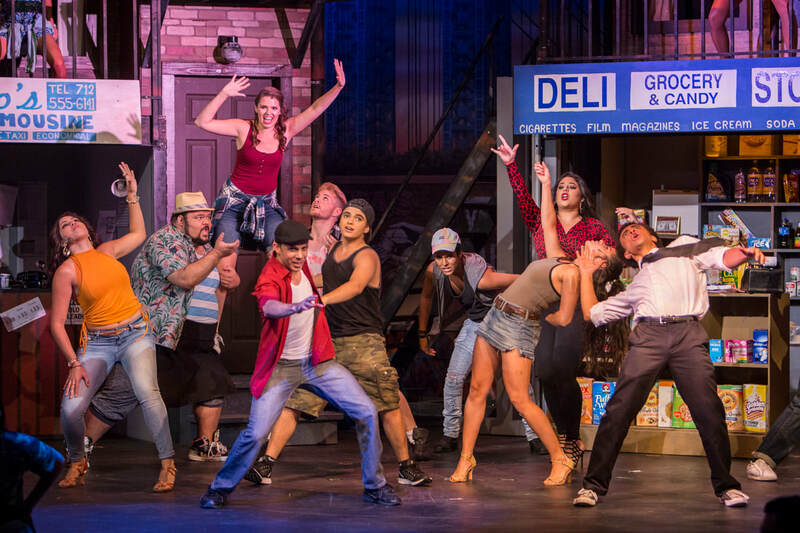 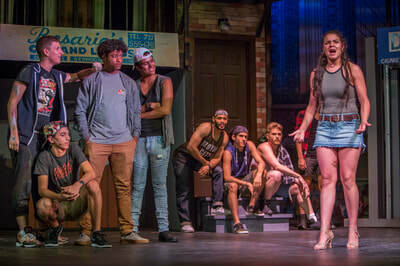 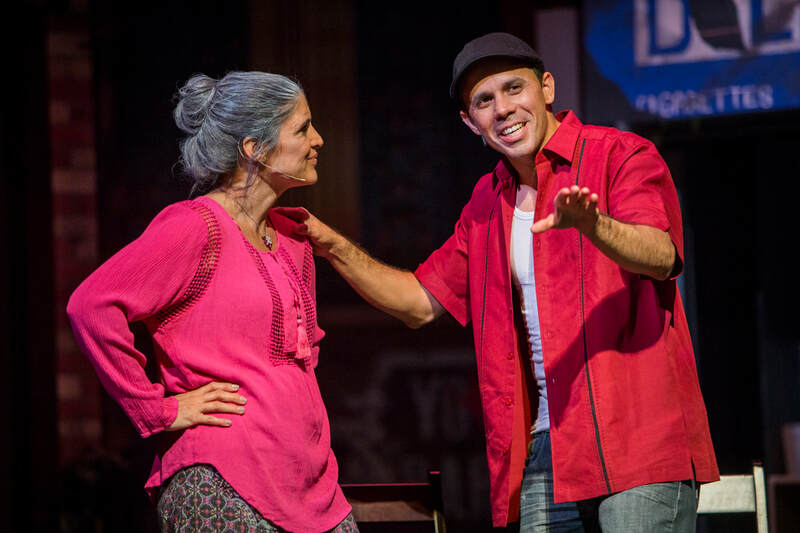 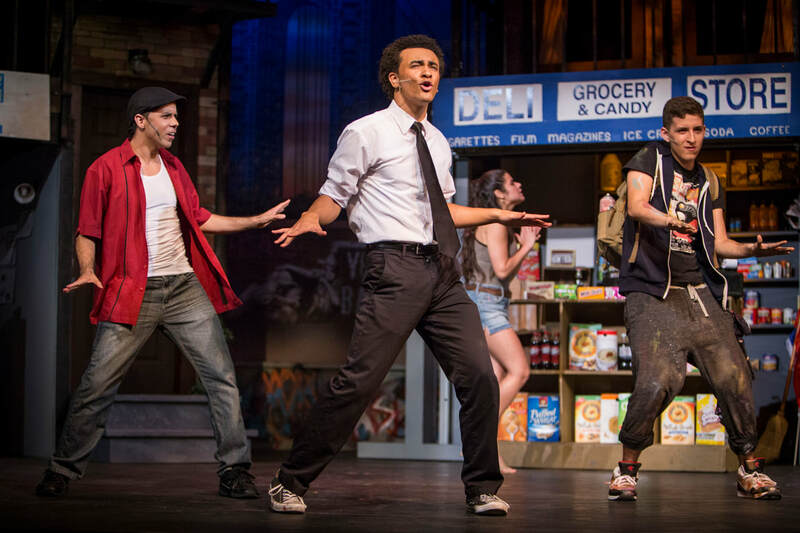 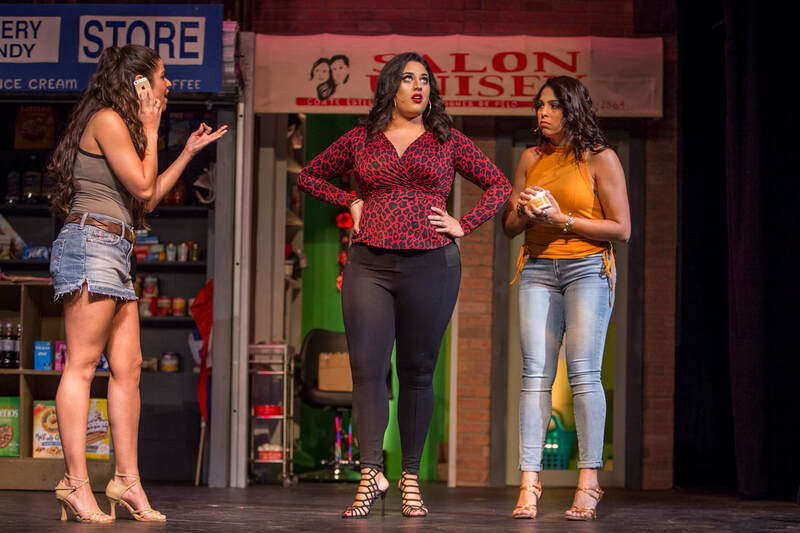 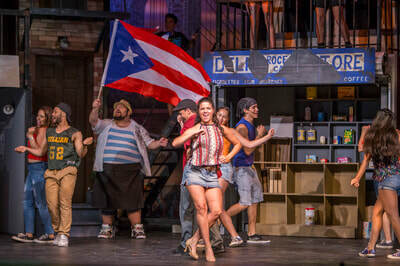 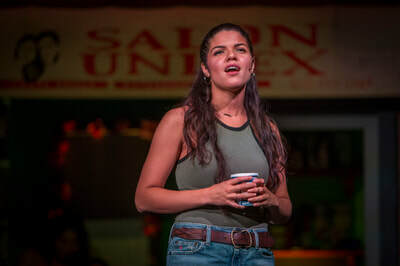 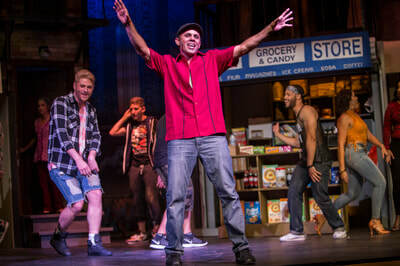 Their families’ stories are the true stories In the Heights is built on. 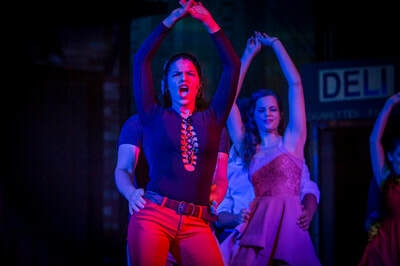 You will be thrilled by the unique and personal pride and passion that fuels their performance. 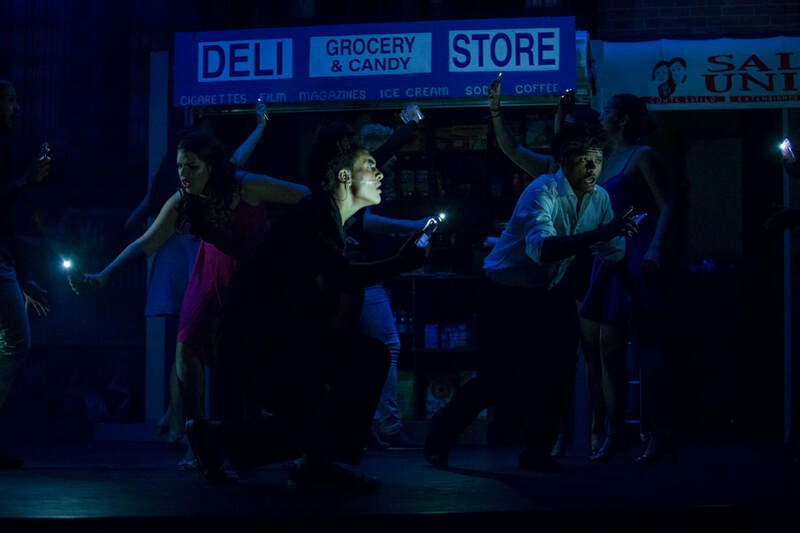 I am grateful to them. 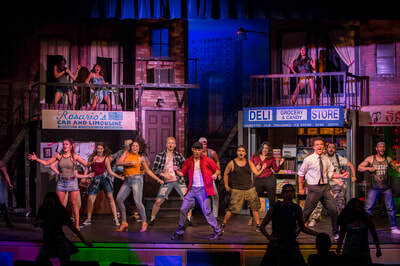 Thank you to everyone at PPTOPA for making this production possible. 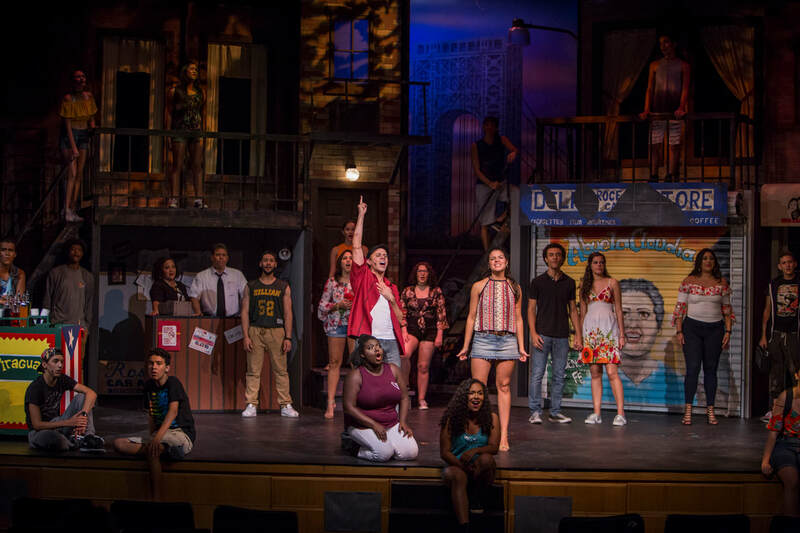 This is a celebration of language and culture and music and proud Americans of all colors and cultures. Thank you for celebrating with us. 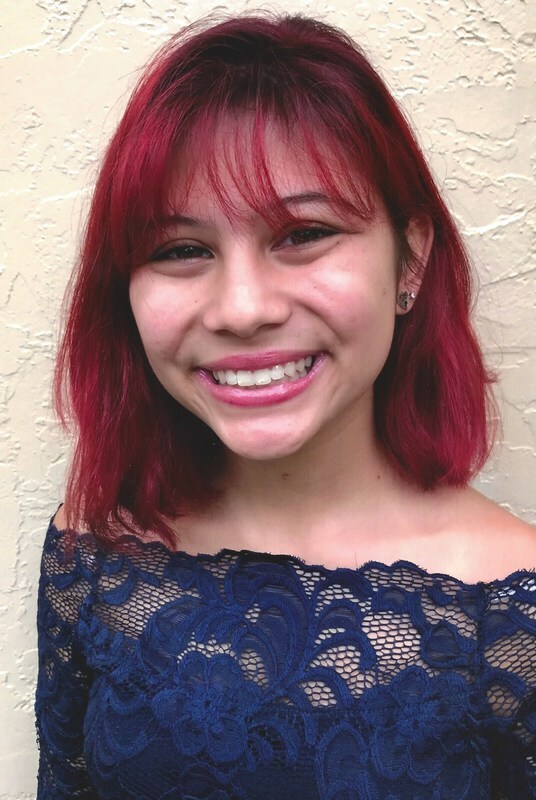 Caryl is a Carbonell and Silver Palm Award recipient. 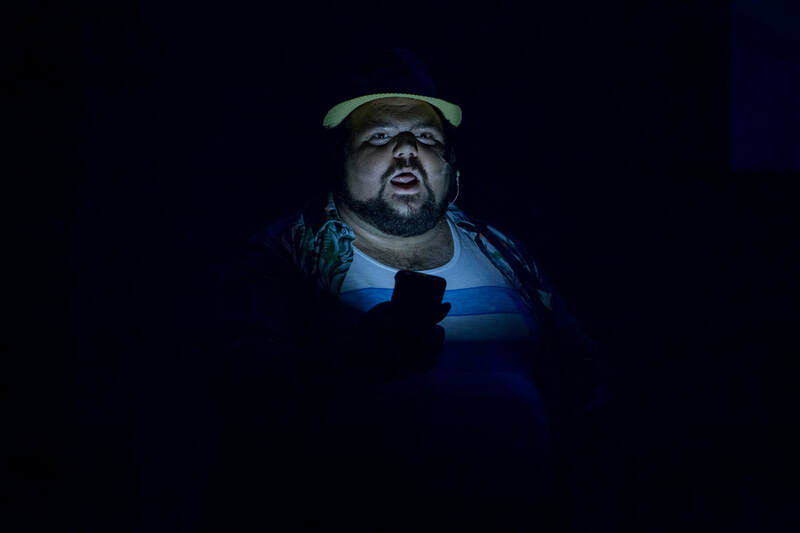 Credits include productions and/or performances Off-Broadway, at Carnegie Hall and regional theatres throughout the U.S., plus: Annual Carbonell and Cappies Awards ceremonies; Beehive and others (Wick Theatre); Carousel (Actors' Playhouse); Passion and Assassins (Zoetic Stage); The Hunchback of Notre Dame, Spring Awakening and others (Slow Burn Theatre); productions and staged readings with Theatre Lab, Palm Beach Dramaworks, and Outré; Stars of David tour (Assoc. 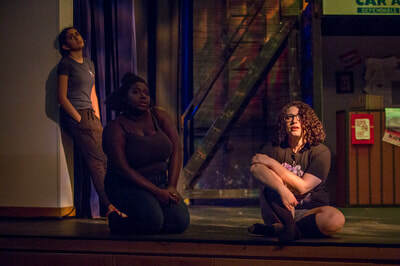 MD); The Little Mermaid (PPTOPA). 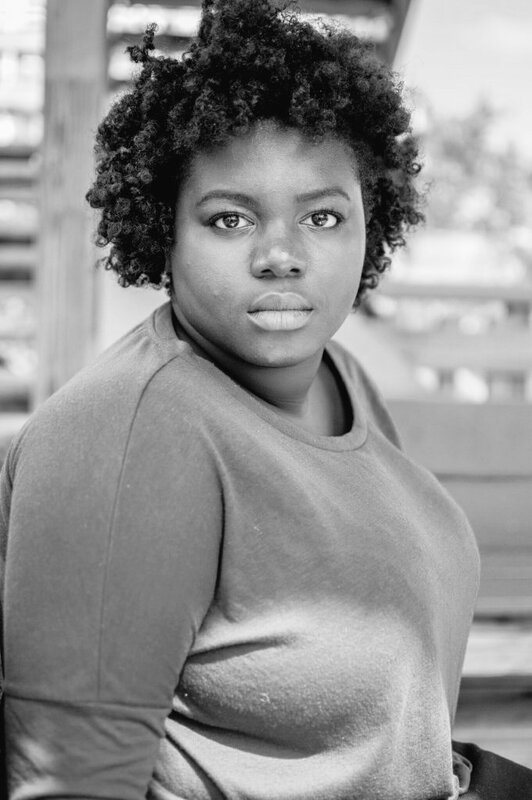 Caryl is the composer of incidental music for Uncle Philip’s Coat, named Best Production of the 2015 United Solo Theatre Festival in NYC, and is serving as Music Director for La Dottoressa, currently in development. 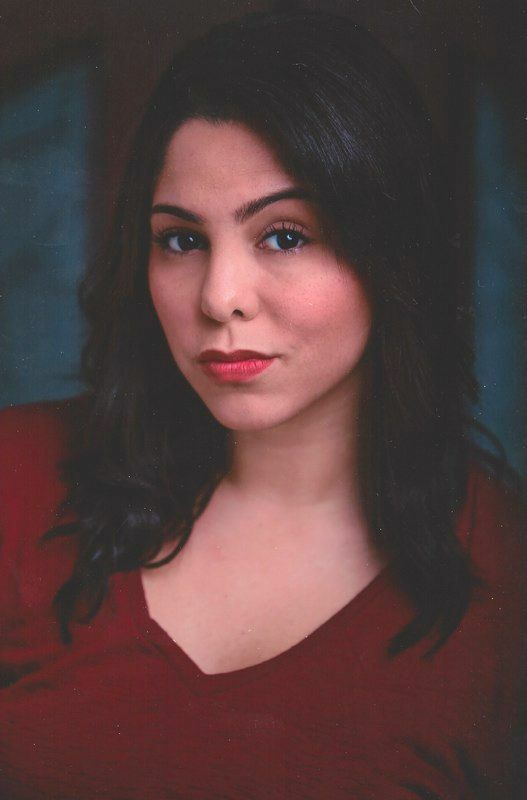 She is a private teacher, audition coach, workshop presenter and member of the Broward Cultural Council. 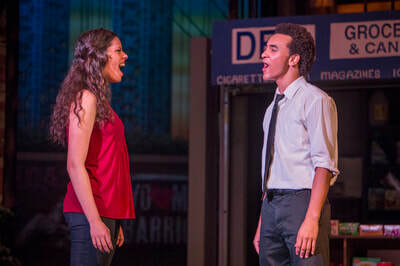 Caryl regularly accompanies auditions for NYU, AMDA, So. FL Theatre League and others. 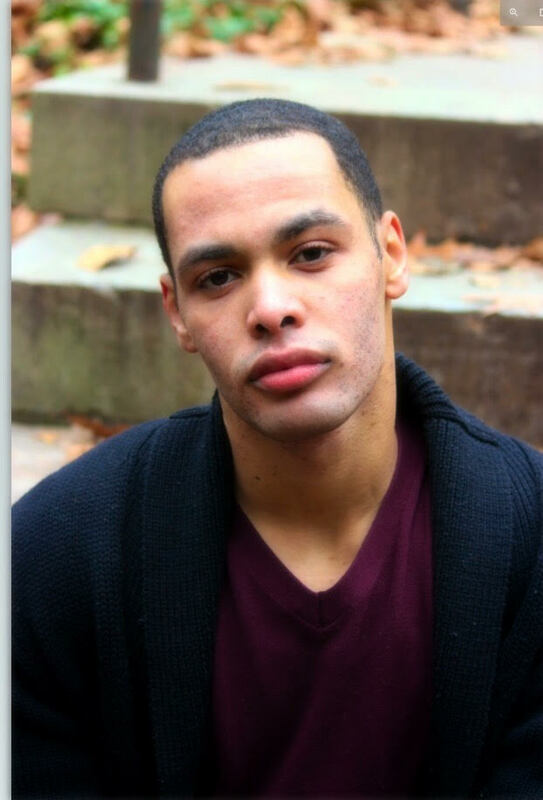 Cameron is a New York based performer and choreographer. 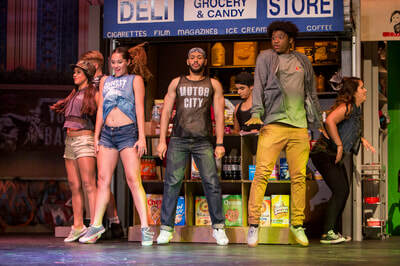 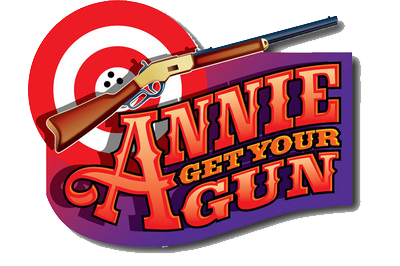 Choreography Credits: Rock of Ages, Shrek, Tarzan, Funny Girl, Legally Blonde, Hairspray, and Annie Get Your Gun. 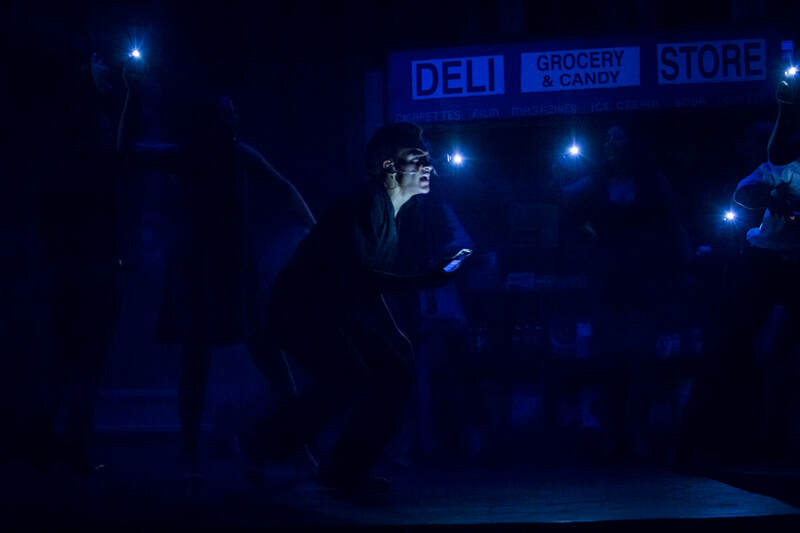 Performance Credits: Tom Sawyer in Big River, Etches in Titanic, Congregant/Quasimodo U/S in The Hunchback of Notre Dame, and Moritz in Spring Awakening. 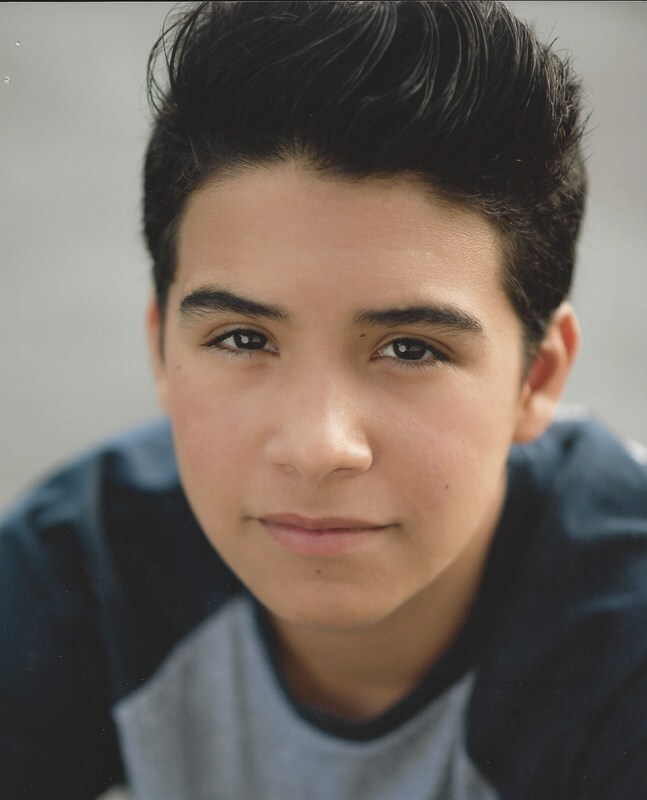 Cameron is very happy to be working with Geoff and Cindy again on such a fun show! 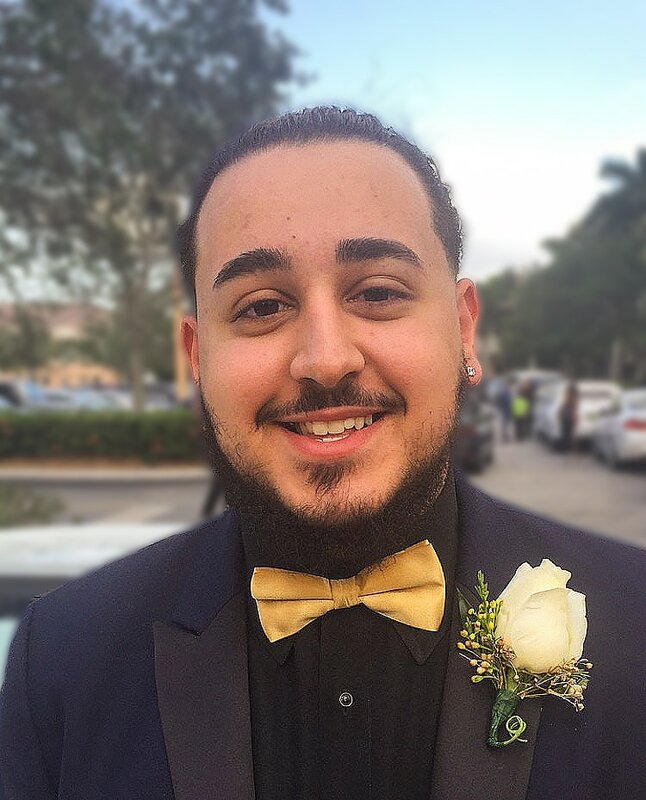 Would like to thank his friends, and family for all their love and support. 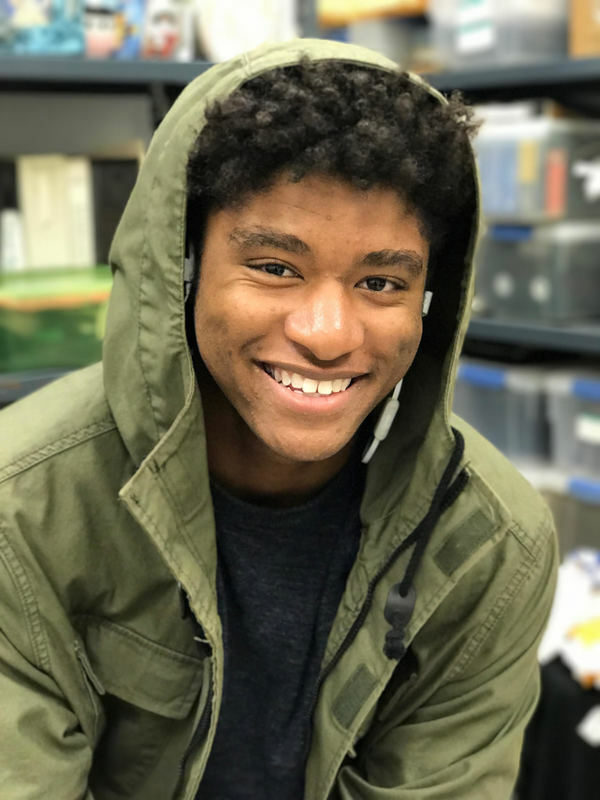 Visit CameronDJordan.com for upcoming shows and much more! my parents Alvaro and Maria, “Alabanza”. 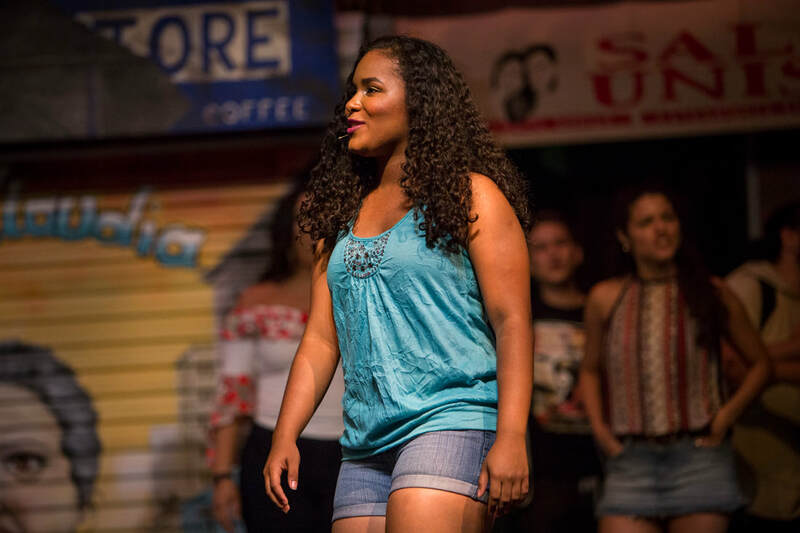 ​Darien Marsailles Wight is a recent graduate from Miami Northwestern Senior High in the Theater magnet program. 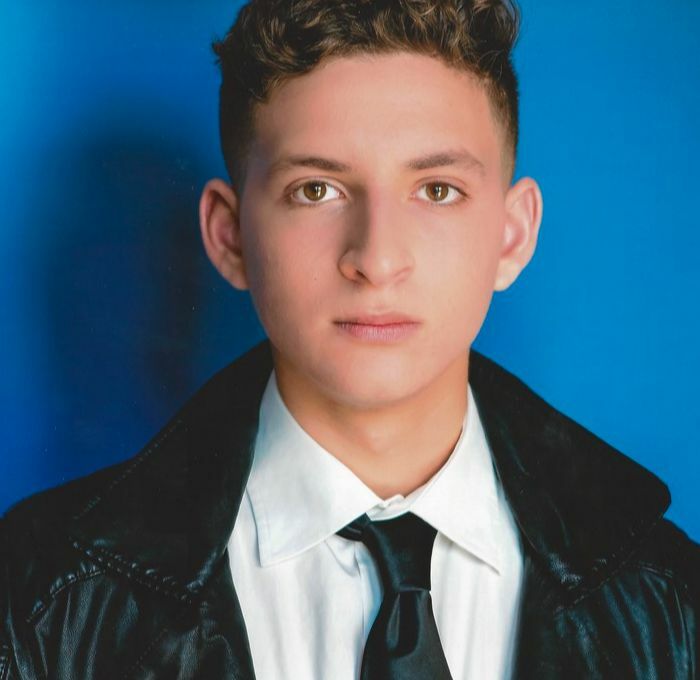 He will be attending New World School of the Arts College Division for acting in the fall. 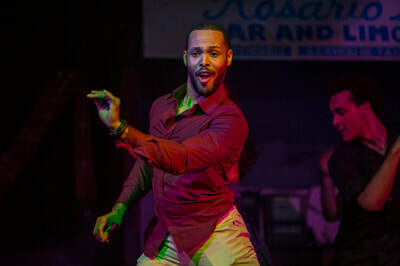 He loves dancing, acting, singing and sports. 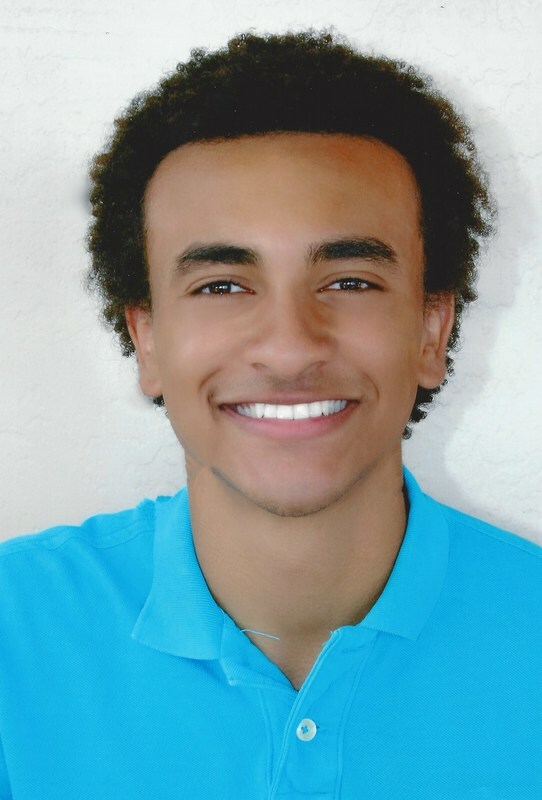 Darien plans to become a professional actor. 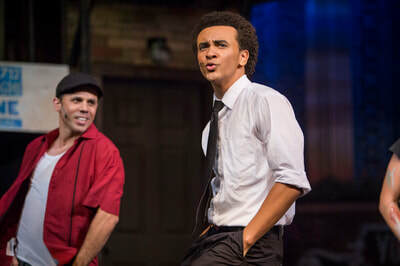 Psychologist by day, Michael is very excited to be doing his fourth show with PPTOPA and his first with his favorite son, Julian (Sonny). Favorite performances include The Wager (Leeds), She Loves Me (Sipos) and Young Frankenstein (Kemp). 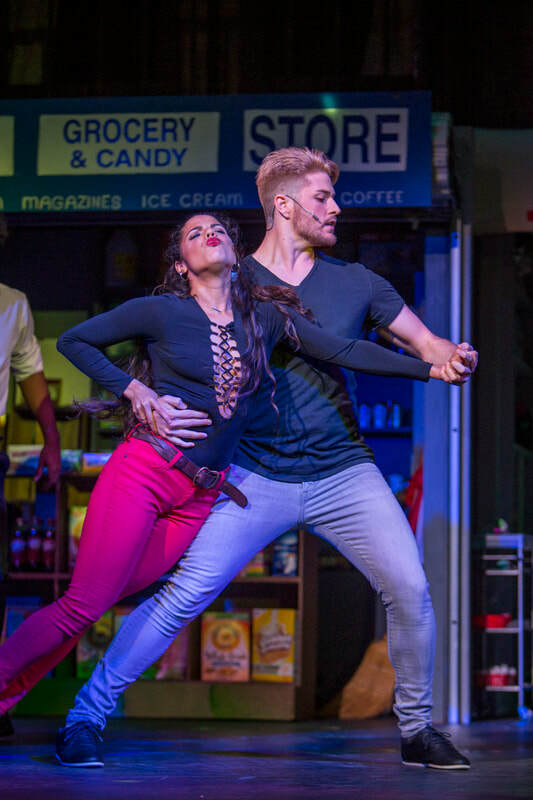 Michael is eternally grateful to his beautiful and indulging wife, Maite! 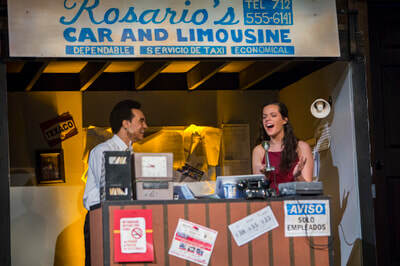 Billings Farzam) and Guys and Dolls (Hot Box Girl). 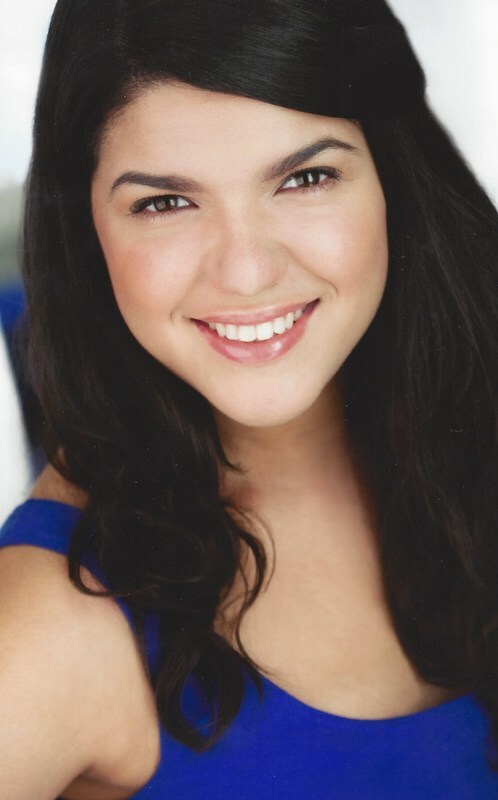 She has lived in Miami most of her life and is a graduate of Florida International University. She thanks J&amp;J, AP and her friends for their continued love and support. choral and theatre programs. 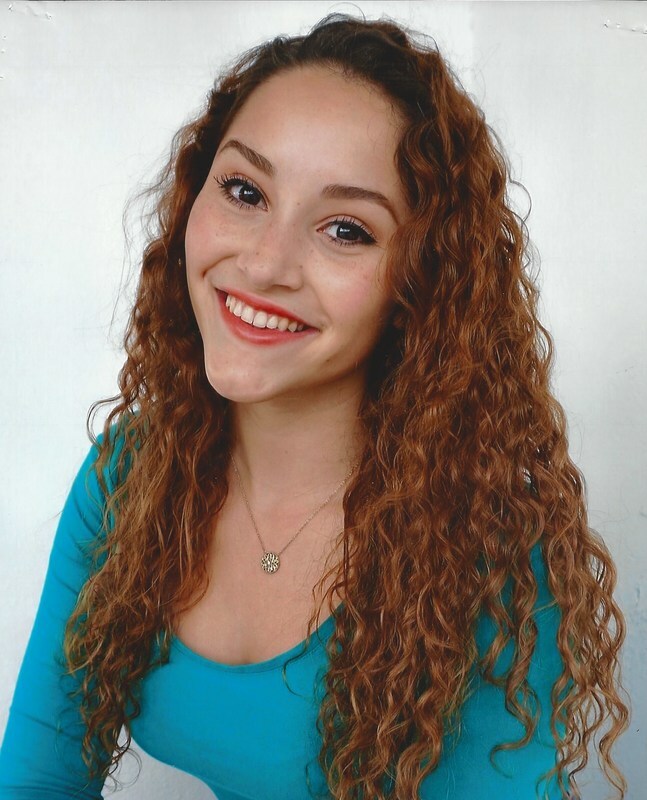 She is thrilled to be on stage with PPTOPA once again, previously cast as Alana in The Little Mermaid. 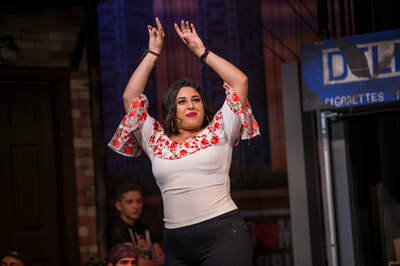 She would like to thank her friends and family for their support. 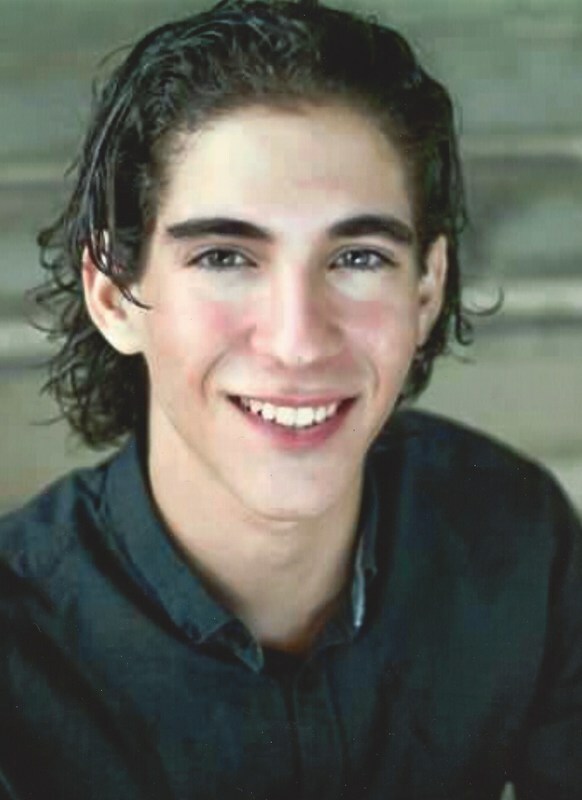 his family and friends, cast and crew, for their constant love and support. 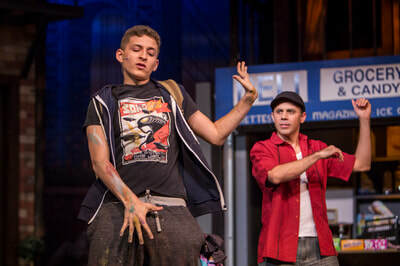 Eli is ecstatic to be making his PPTOPA debut. 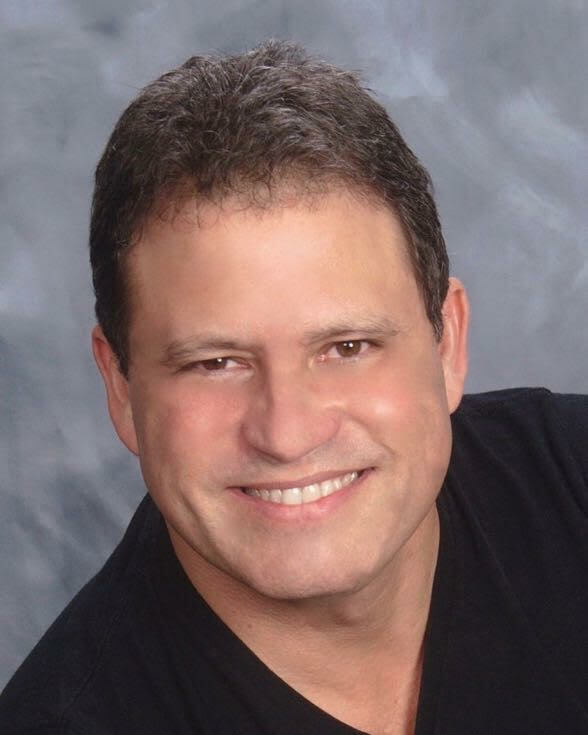 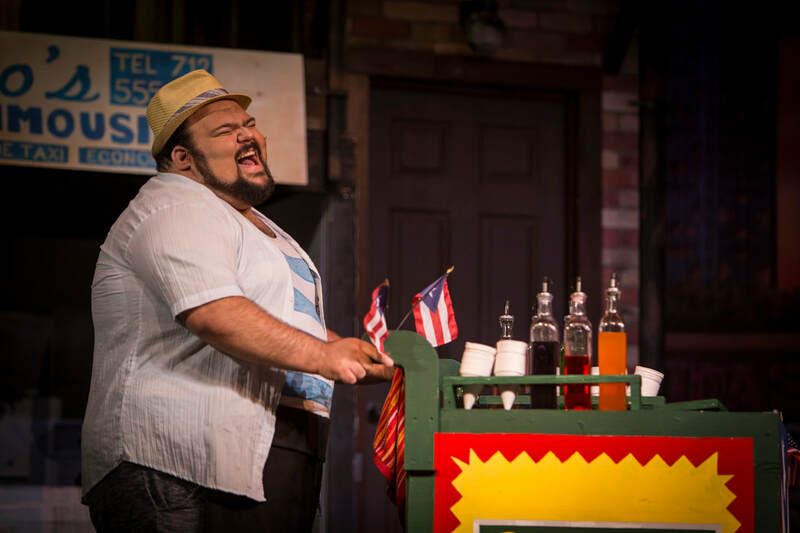 His credits include Joseph and The Amazing Technicolor Dreamcoat (Naphtali), In The Heights (Ensemble), Shakespeare in Hollywood (Joe E. Brown) and 42nd Street (Pit). 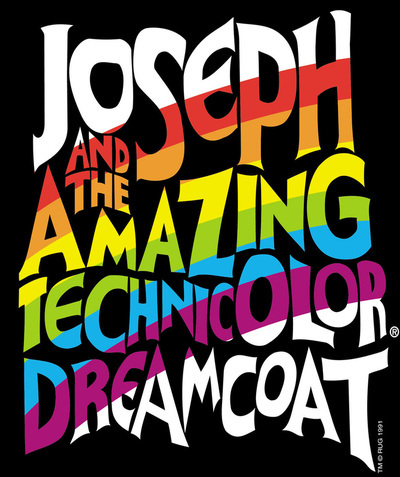 Jessica is very excited to be in her third PPTOPA production! 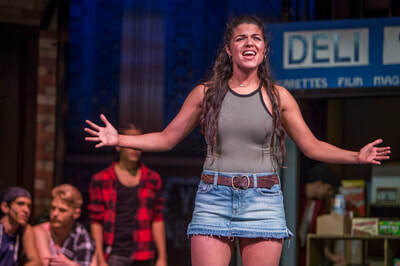 Jessica graduated from The Sagemont School in 2016 and now studies Theatre with a minor in Musical Theatre at Marymount Manhattan College in New York City. 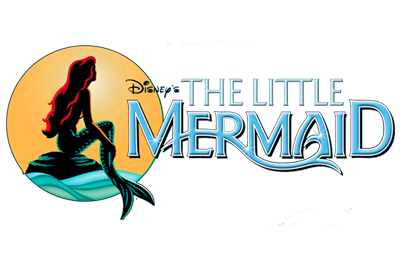 Jessica’s recent performances includeThe Little Mermaid at PPTOPA (Ariel), Mary Poppins at PPTOPA (ensemble), and Chicago at The Sagemont School (Roxie). Jessica has also taken multiple classes at Broadway Artist’s Alliance and is a guitarist and songwriter. Jessica would like to thank the cast and crew of In The Heights for an unforgettable experience! 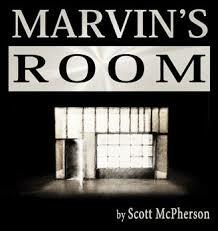 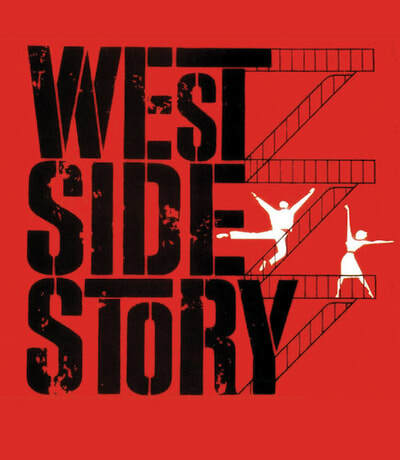 Break legs!! 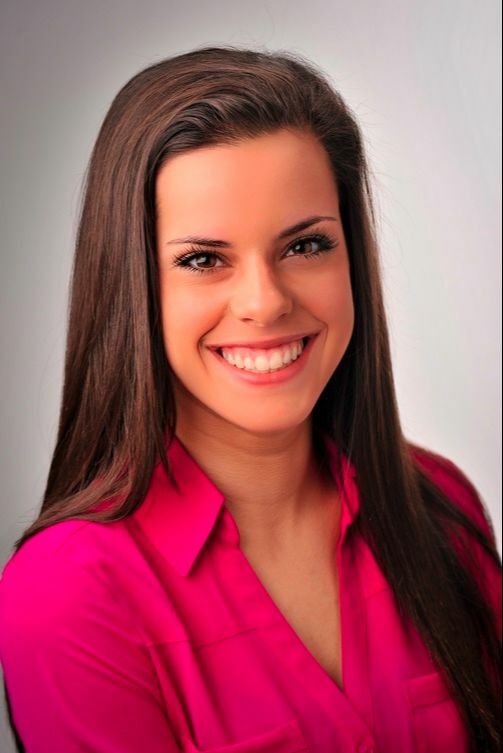 Natalie is thrilled to be joining PPTOPA again. 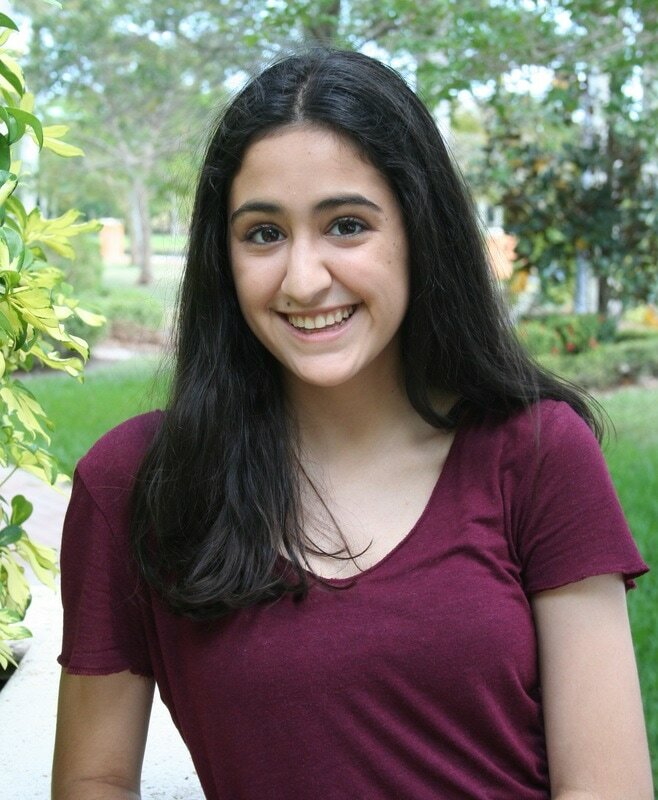 Natalie is currently the Director of the Everglades Legacy Choir. 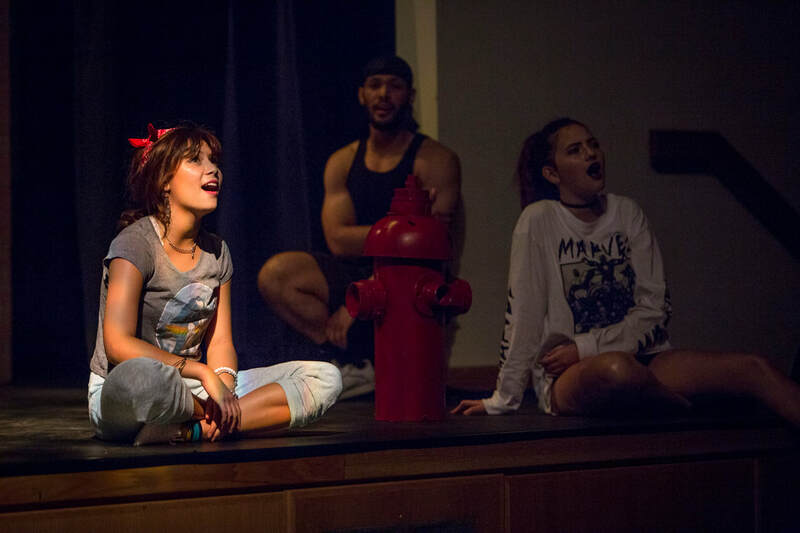 Prior credits include: Directing: Annie, Peter Pan and Alice in Wonderland; Performing: Master Chorale of South Florida. 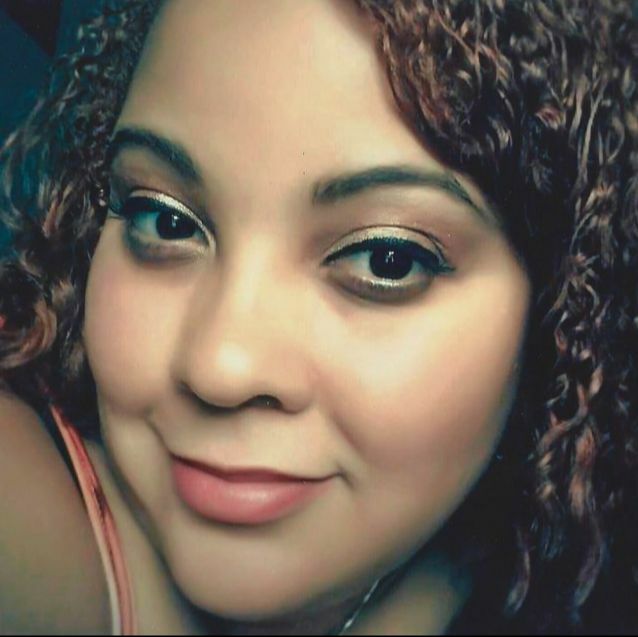 She would like to thank her husband, family and friends for their love and support. 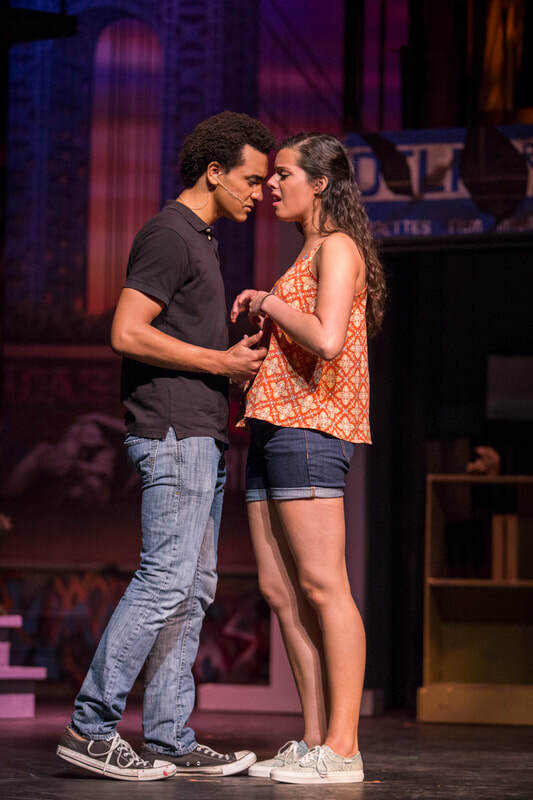 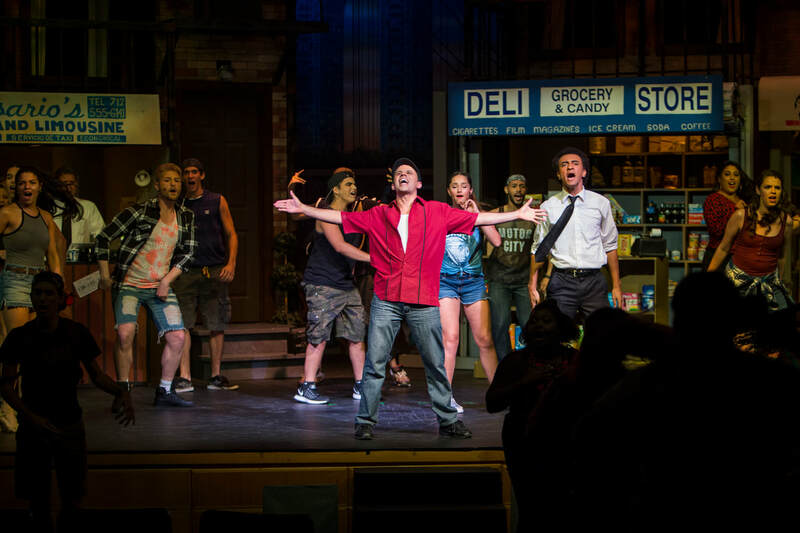 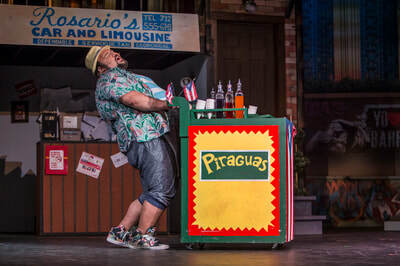 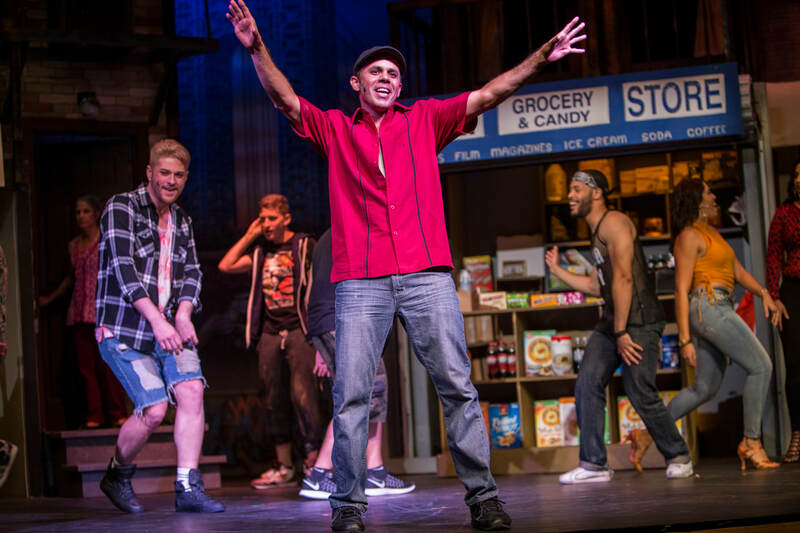 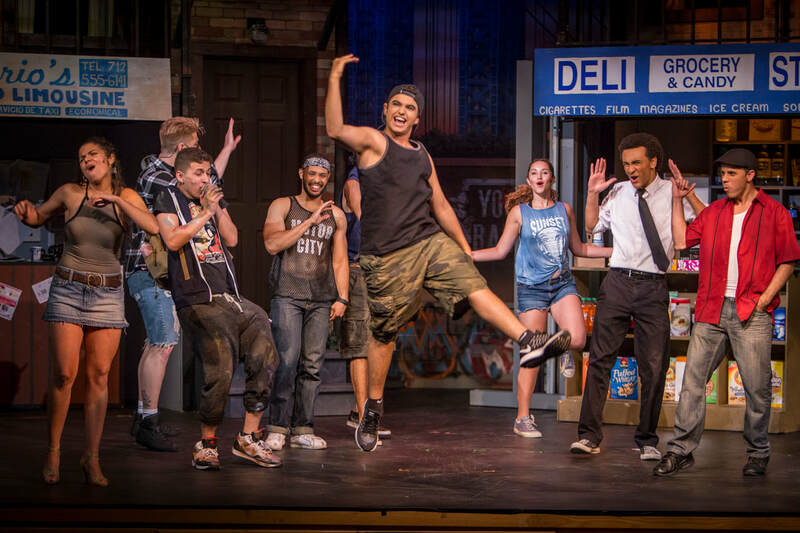 Emanuel is very excited to be making his PPTOPA debut with "In The Heights"! 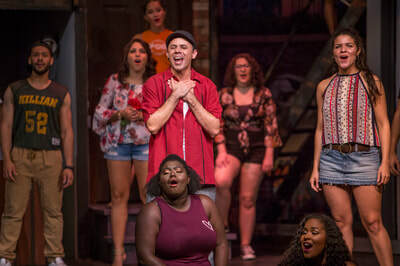 He has been studying musical theatre for the past two years. 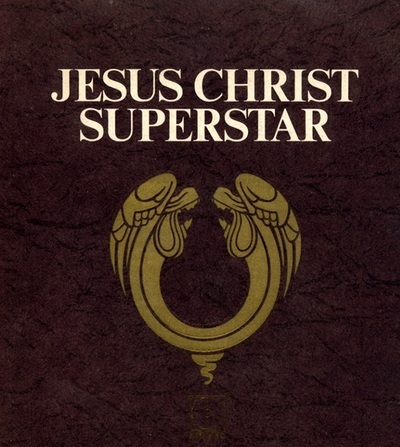 Credits include Legally Blonde (Warner), Tarzan (Tarzan), and Rock of Ages (Stacee Jaxx). Finally, he'd like to thank his parents, Aimee and Cameron, and Michael for all their support! Sarah is a Junior at the University of Tampa studying Musical Theatre. This is her PPTOPA debut. 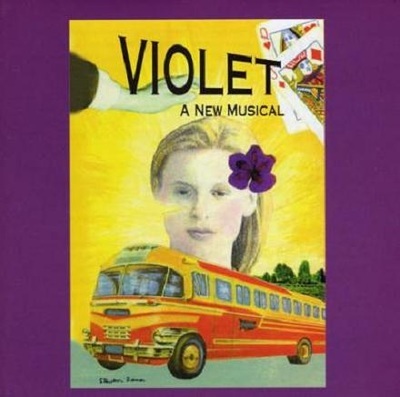 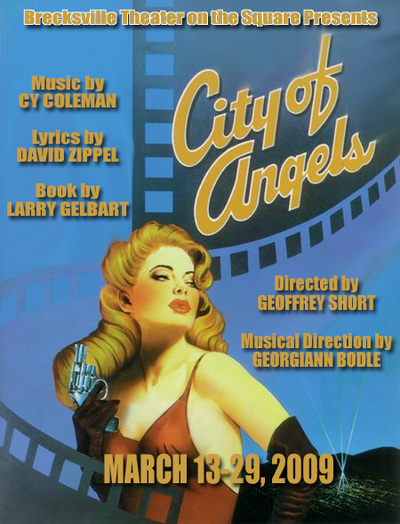 Previous credits include "Blood Guilt: Orestes on Trial" (Agros Woman - World Premiere), "The Children's Hour"; (Peggy Rodgers), "Annie Get Your Gun"; (Ensemble), and "City of Emeralds: A Live Radio Play" (Guardian of the Gates). 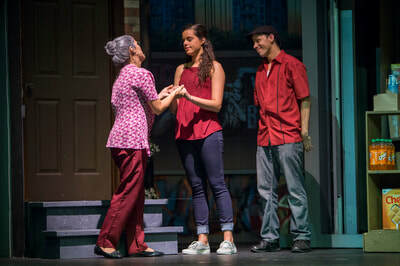 Much love to her wonderful parents, and to Geoff and Cindy for this opportunity. 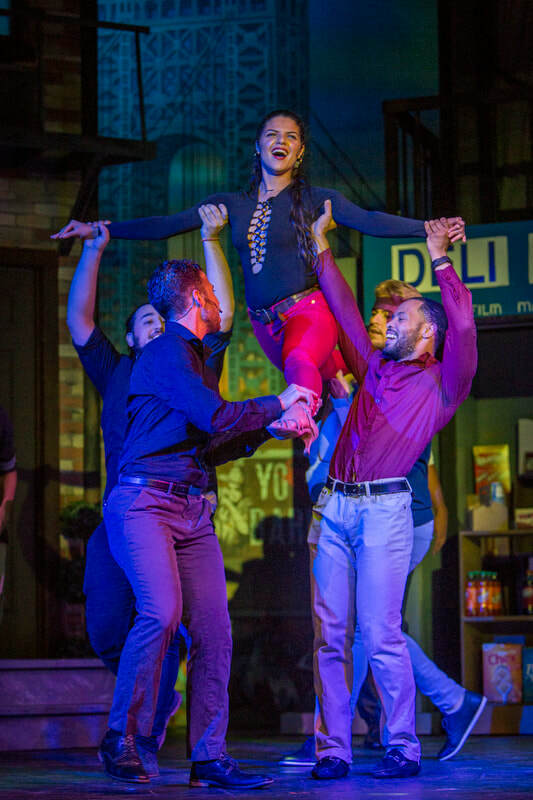 Ishani last performed in Legally Blonde playing Elle Woods. Ishani is excited for her first show at PPTOPA. 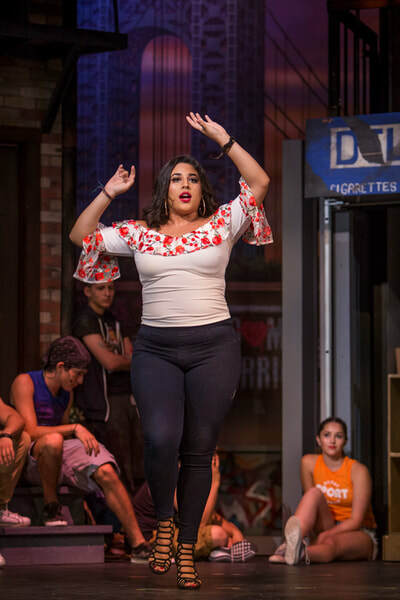 She has a love for the theatre, and hopes to pursue it after she graduates. 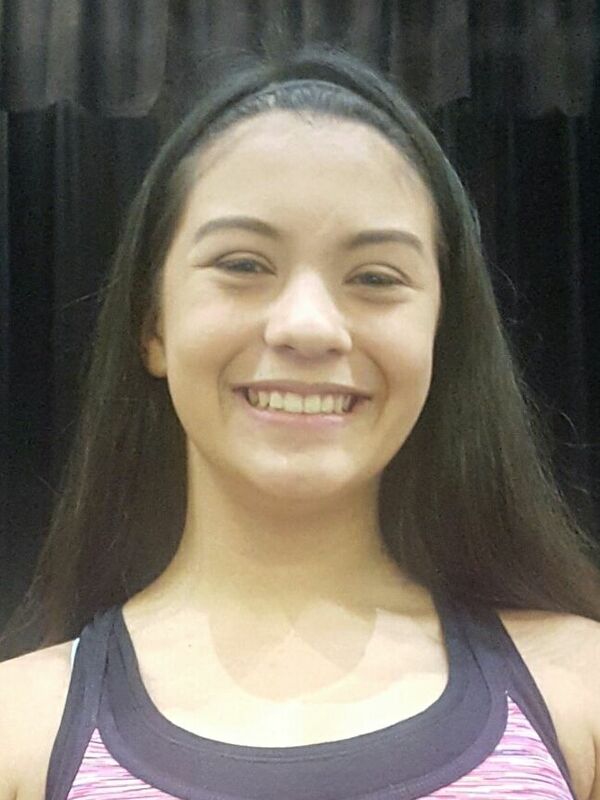 Katarina started participating in theater just this year. 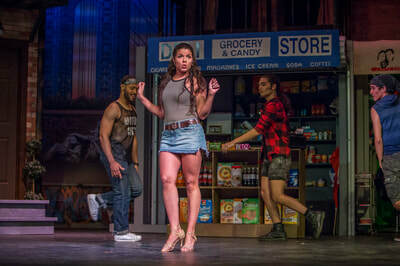 She has participated in 4 shows including In The Heights. She hopes to go to a college for the performing arts, and to continue to pursue theater as a hobby. 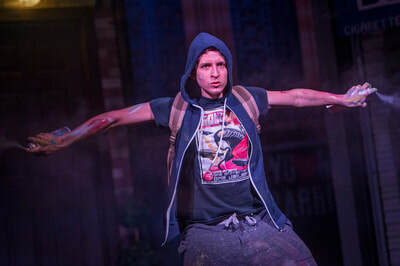 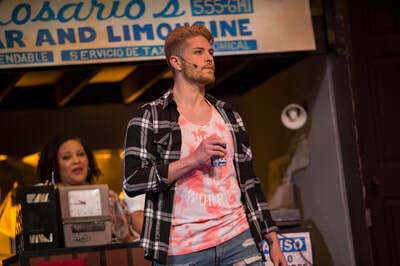 Some of Marco's favorite roles include Rock of Ages (Drew), Into the Woods (Jack) and The Shadow Box (Mark). This is his first show with PPTOPA and is very grateful to be a part of such a talented and diverse cast and crew. 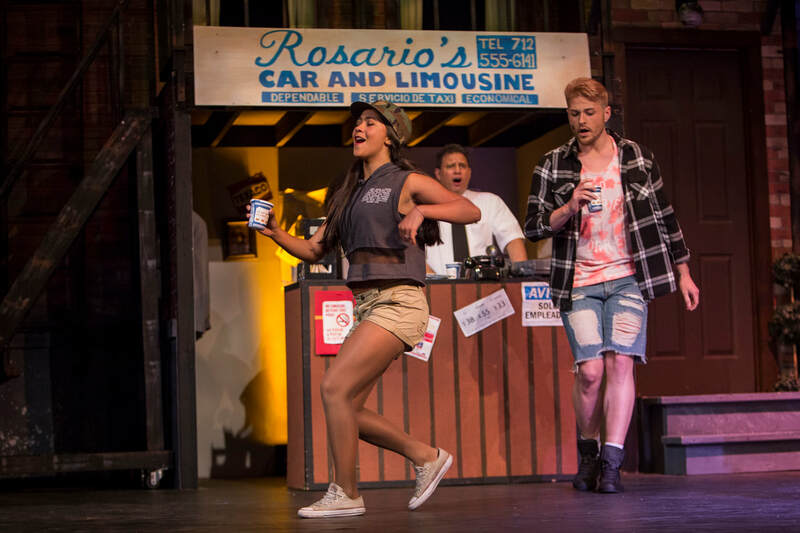 Yasemin is very excited to participate in her first show outside of school! 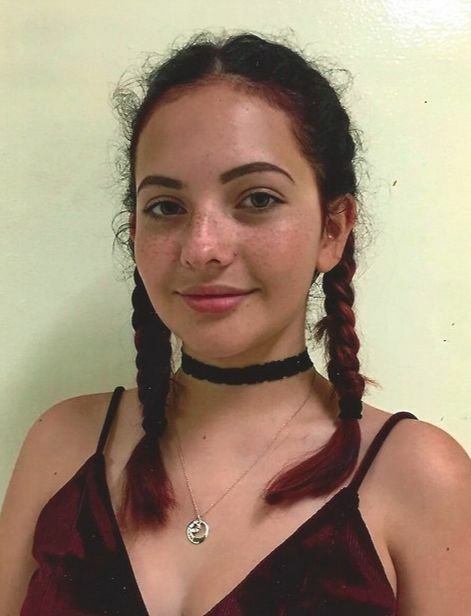 In the past, Yasemin has played Bombalurina in CATS & Ronny in HAIR. 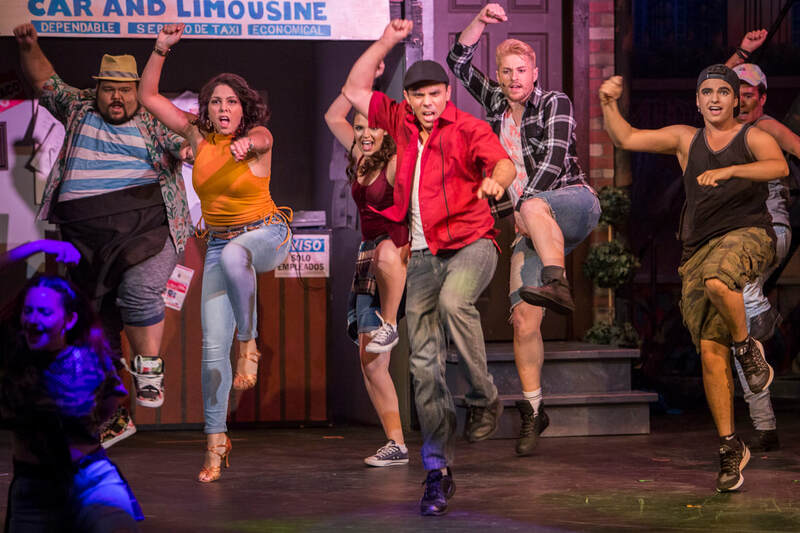 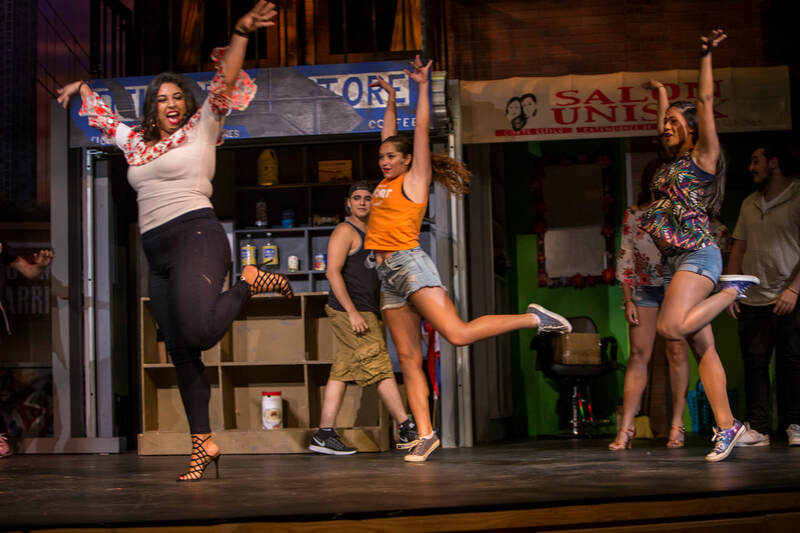 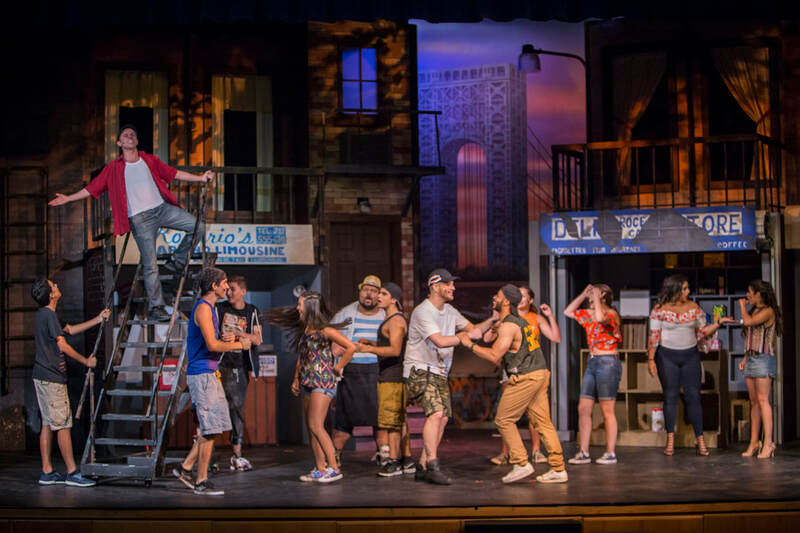 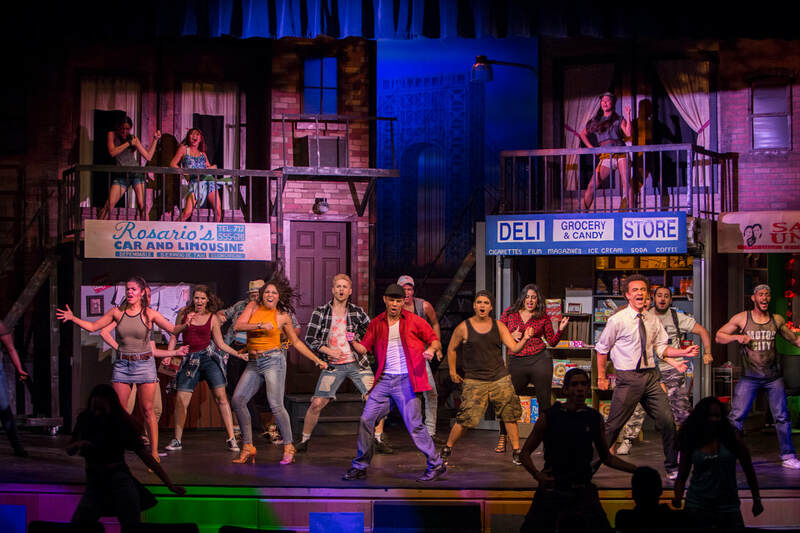 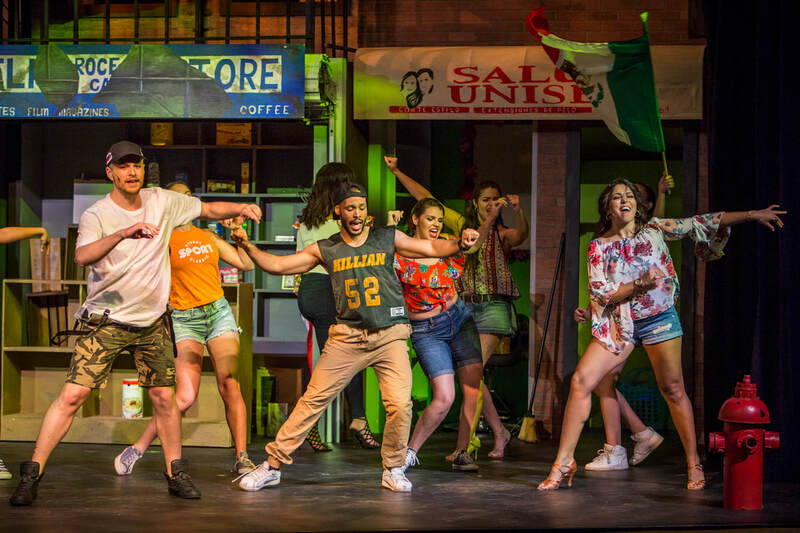 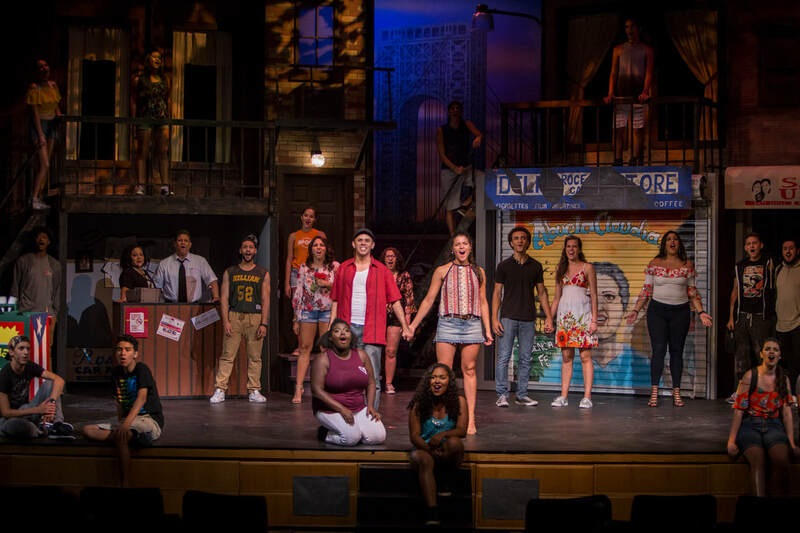 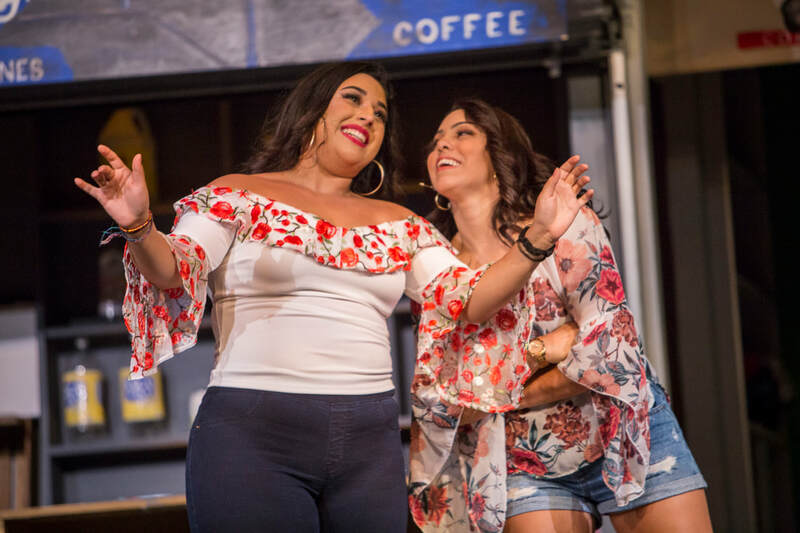 In The Heights is an experience in which Yasemin will adapt to new ideas and styles and learn tremendously from an amazing variety of people! 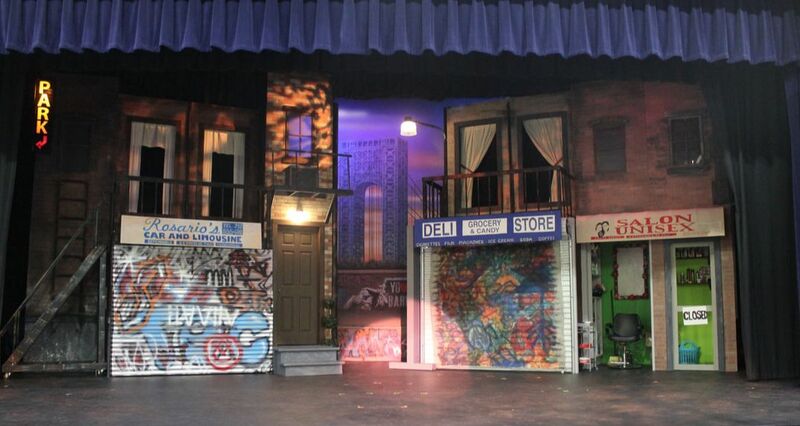 Drama program, and JROTC program. 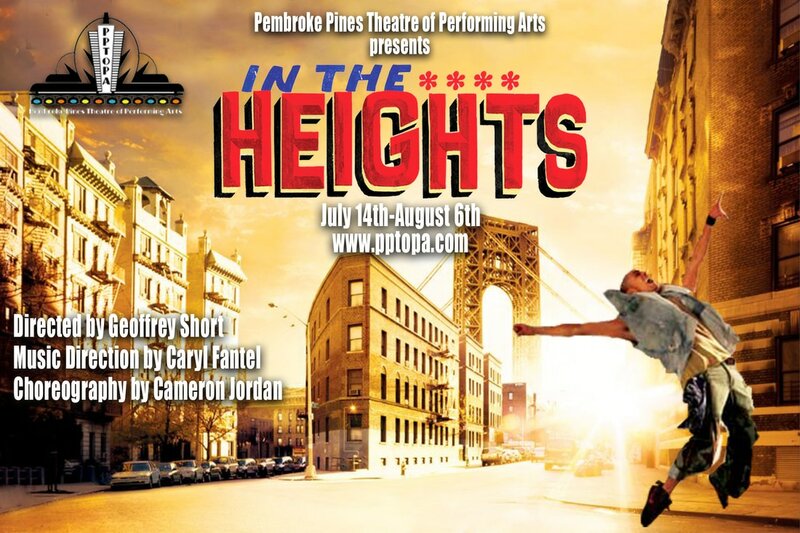 He is very excited to be his first production with PPTOPA. 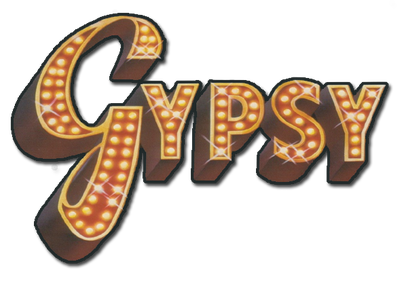 Previous productions include: Hair, Cats, Sound of Music, Once on this Island, and others. 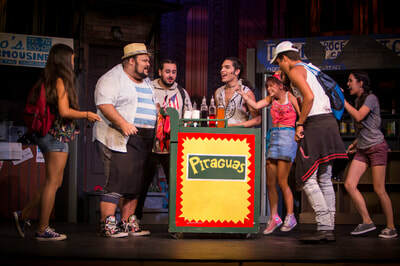 role Demeter (Cats). 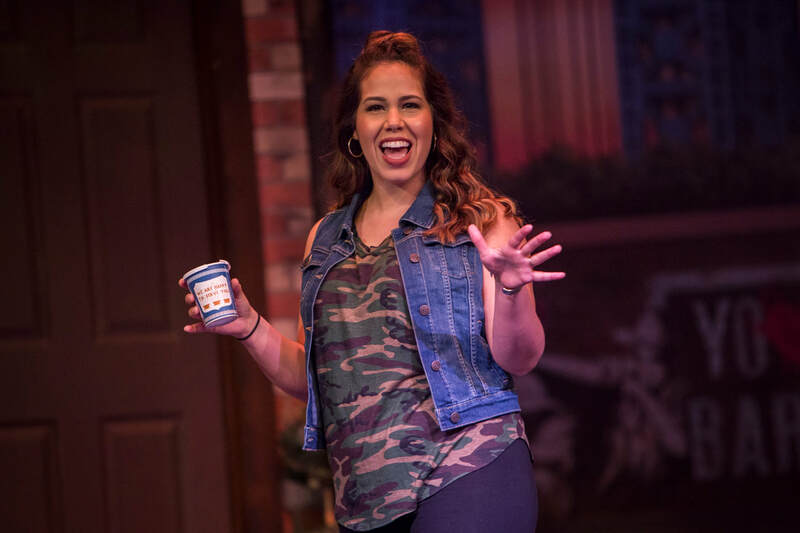 Jillian thanks her family and friends for their love and support..
Gabriel's been devoted to theatre for four years, playing roles such as: Gaston, from Beauty and the Beast; Rum Tum Tugger, from Cats; and Claude, from Hair. Being Dominican, its his dream to be a part of In the Heights. He's studying musical theatre at Marymount Manhattan this Fall! Alicia moved to SFL in 2009 after performing for 17 years in professional and community theater roles in RI. 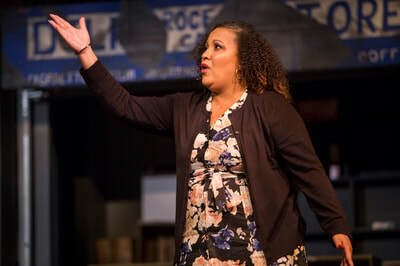 Alicia graduated from RI College in 2003 with a BA in Theater. She is honored to be part of this cast for her FL debut. Love to friends and fam for their support. 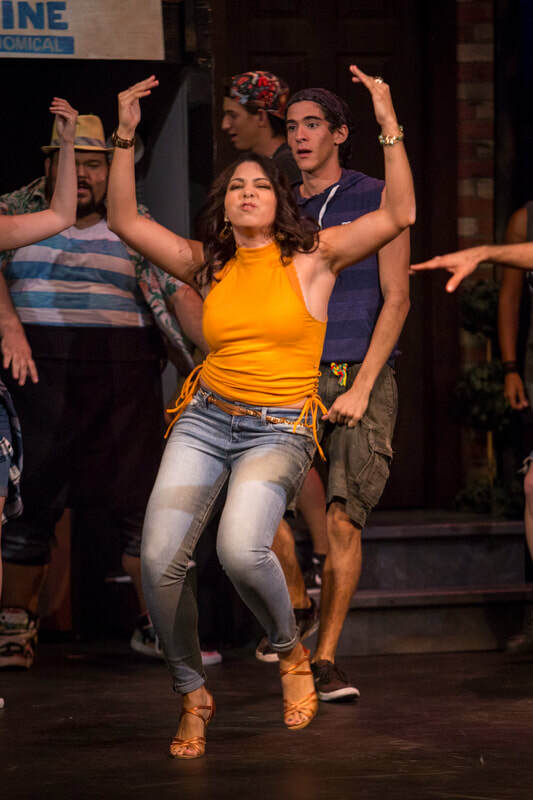 Serena Concepcion (Vanessa) is thrilled to be returning to PPTOPA. 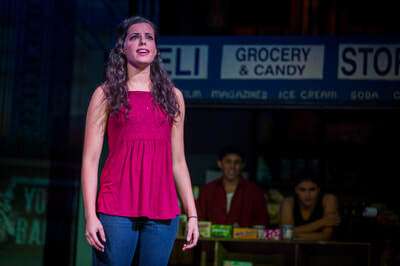 She is a New York native and a graduate of AMDA (NYC). 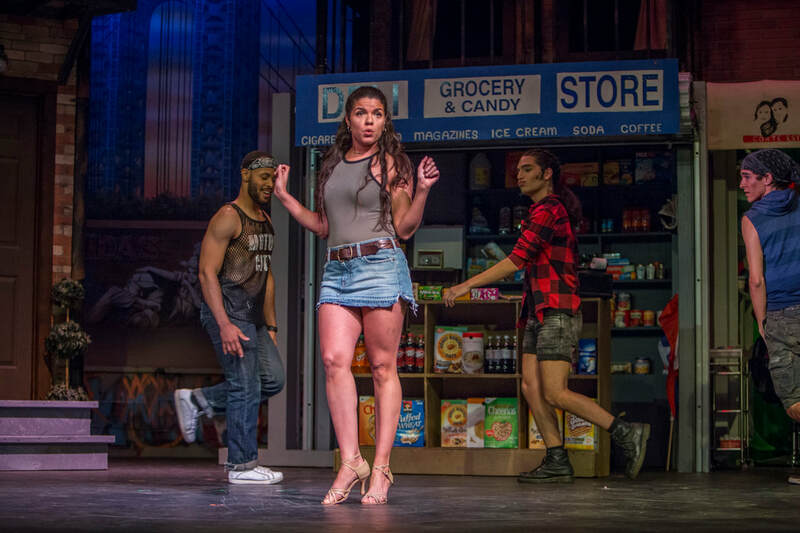 Her credits include: A Chorus Line (Diana), Performing Arts Politics (Yessica) and Cirque du Soleli Broadway (featured dancer) . 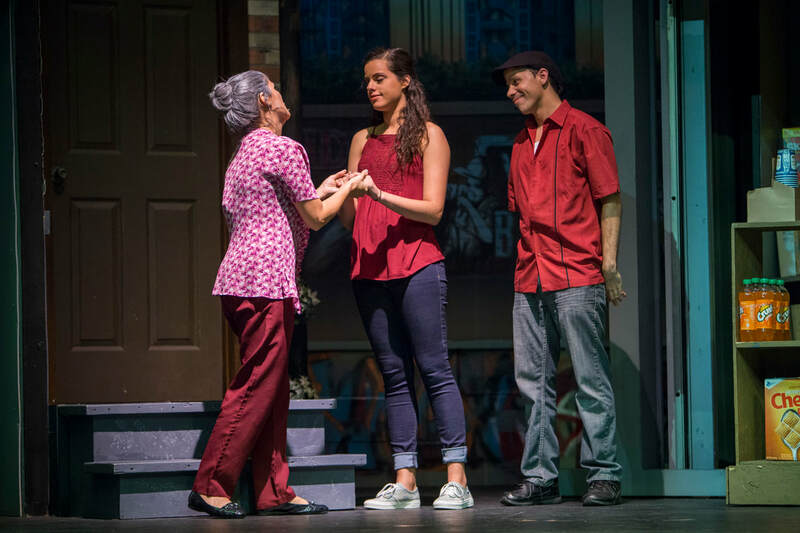 She is grateful to be part of a wonderful cast and crew. 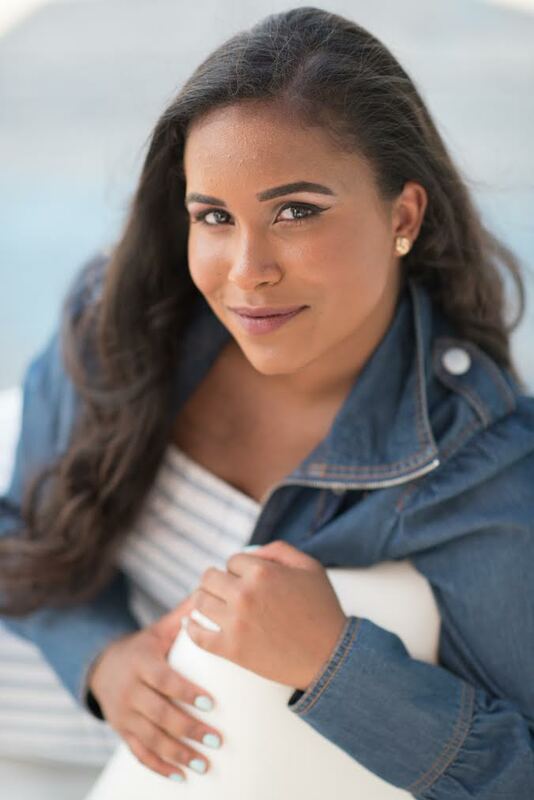 Serena thanks her family for their love and support. Paciencia y Fe! 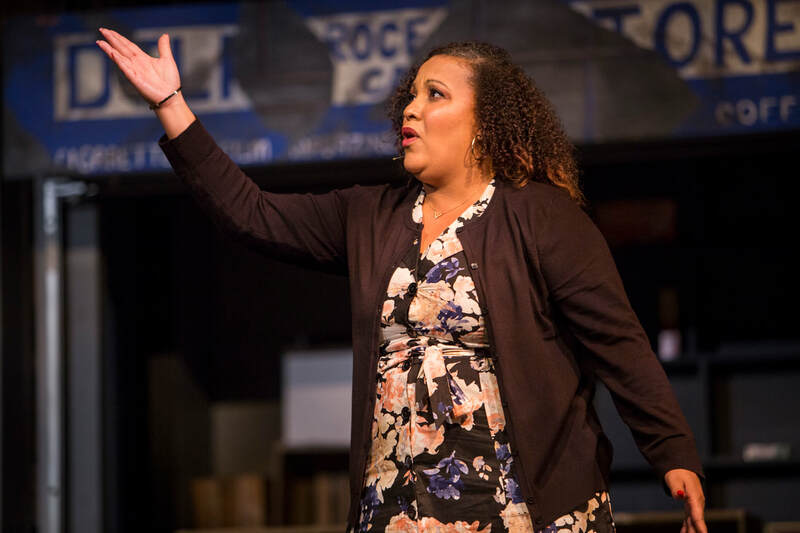 Michelle is thrilled to be on stage with PPTOPA's team. 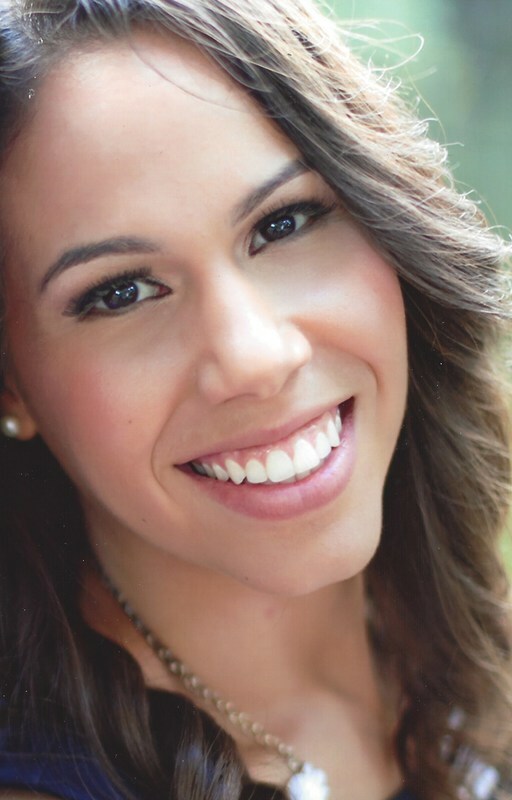 Venezuelan native, classically trained with a Bachelor of Music from FAU, Michelle is currently working for the Latin GRAMMYs. 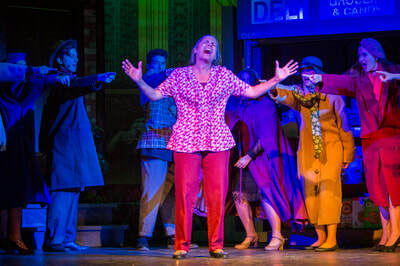 Previous roles include Chicago, West Side Story, and Five Women Wearing the Same Dress. Mucho amor to this cast &amp; crew, her family, Noelia, and all Latinos! 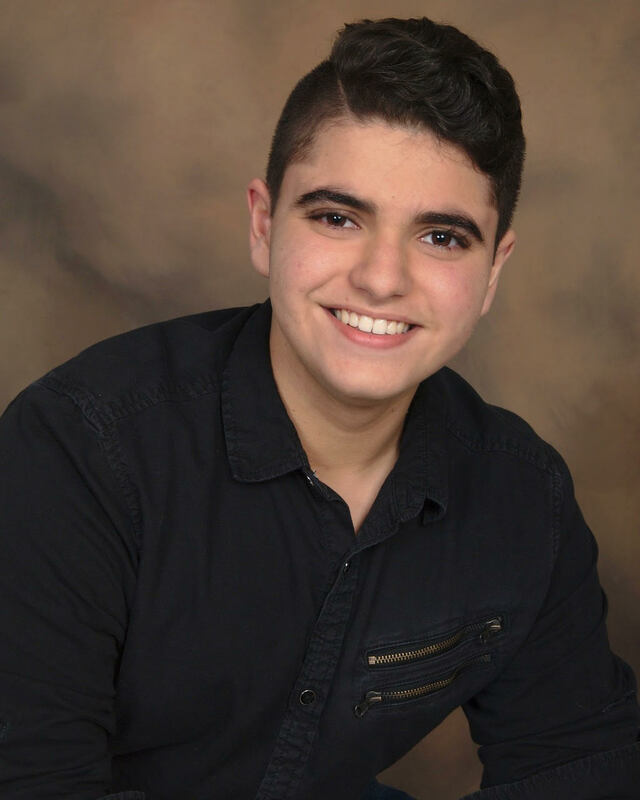 Julian is a 16 year-old Junior in high school and has been involved in theater since he was in Pre-school. This is his first time performing with PPTOPA and he is thrilled to be a part of such a fun and moving show where he can represent his heritage. include Rent (Roger), The Rocky Horror Show (Phantom, Dance Capt. 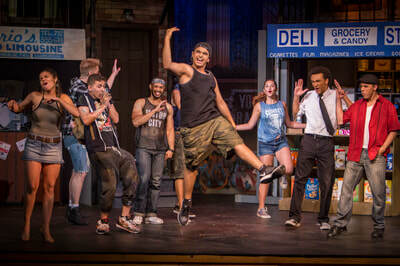 ), The Who's Tommy (Ensemble, Dance Capt. 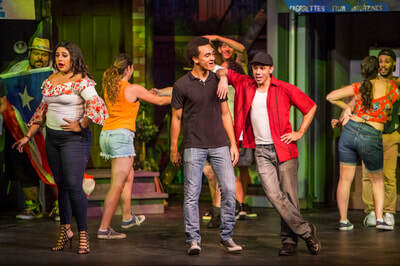 ), and Kiss Me Kate (Gremio). 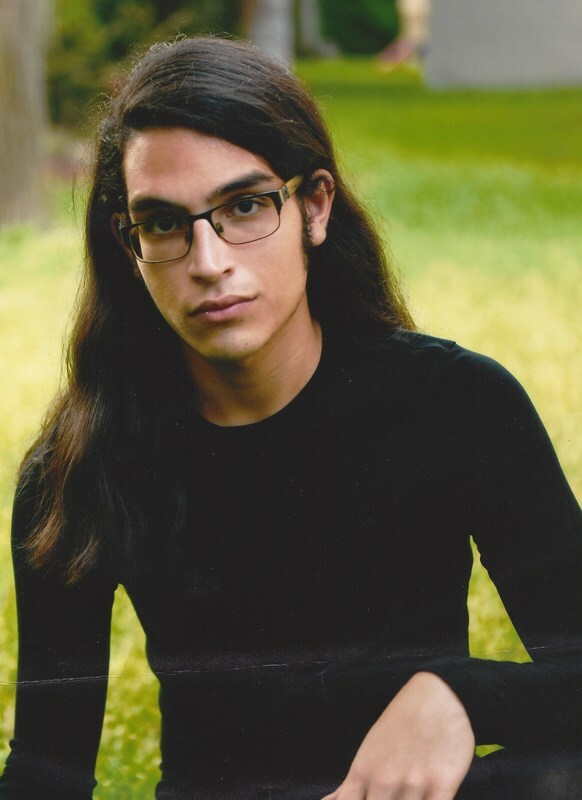 Nohrden is a dancer for Flux Dance Company and has also choreographed locally over the past 4 years. 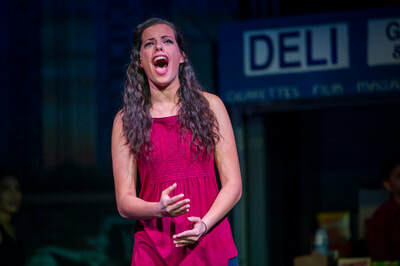 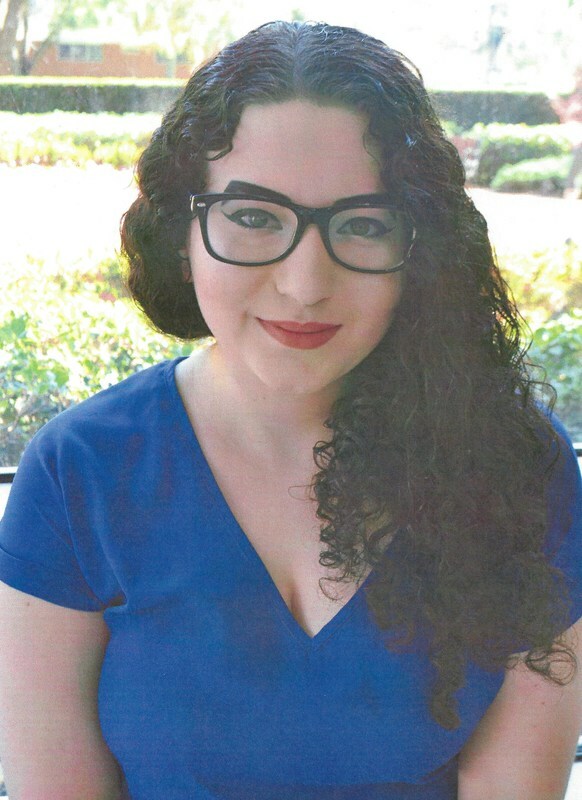 Sklenny Senat is a senior at Marymount Manhattan College studying musical theatre. He strongly believes that performing is his passion, and is thrilled to be apart of this amazing production. 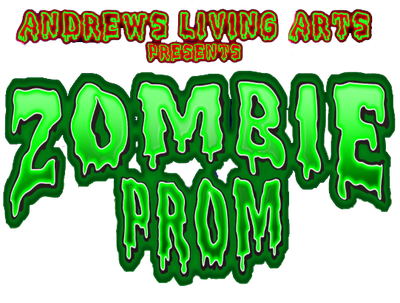 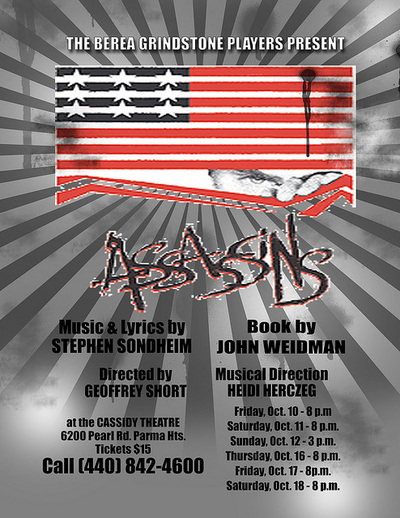 Previous credits include Wonderland, Little shop of horrors, RENT, and former PPTOPA production Les Miserables. 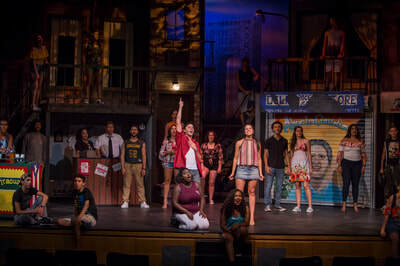 Sklenny would like to thank the wonderful production team for this opportunity and board for their hard work. 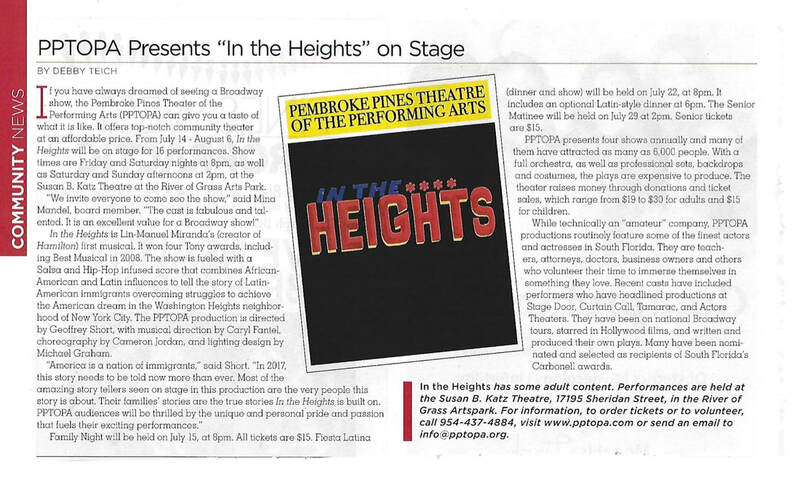 Logan is excited and proud to be a part of In the Heights with the PPTOPA. 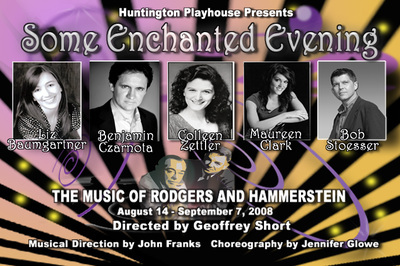 Theatre credits include Annie, Hairspray, Carousel, Young Frankenstein, and The Little Mermaid. 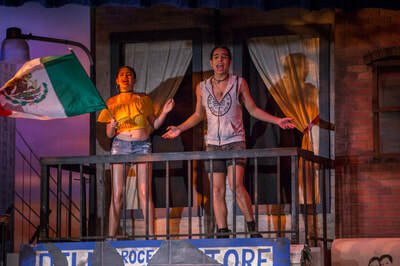 He would like to thank the cast and crew of the show as well as Geoffrey and Cindy for their amazing work and dedication to this production! 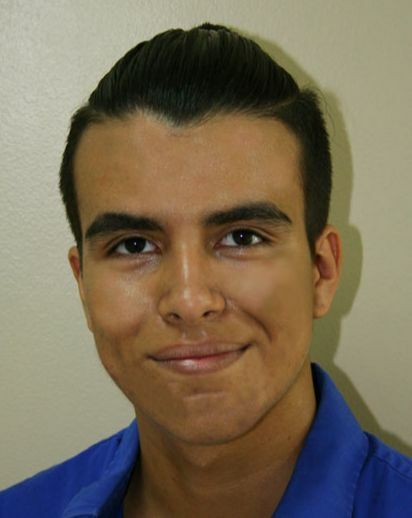 Michael Pascual is a recent graduate from Cypress Bay High School were he participated in theater, band, and chorus. 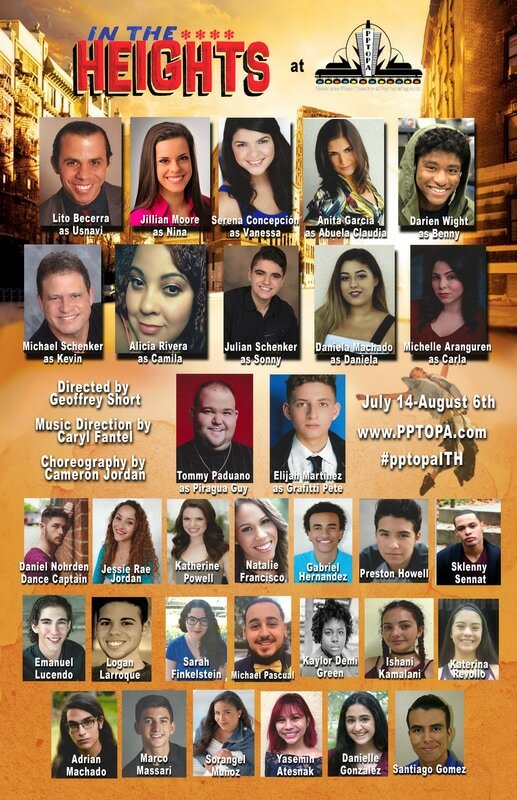 This is his first show with PPTOPA and honored to be apart of it. 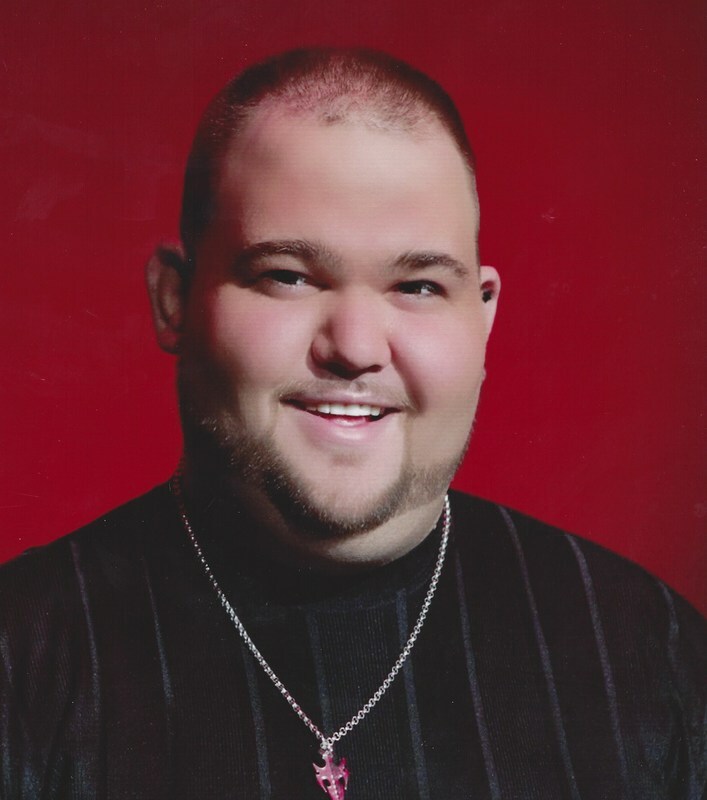 He would like to thank his friends and family for all their support. 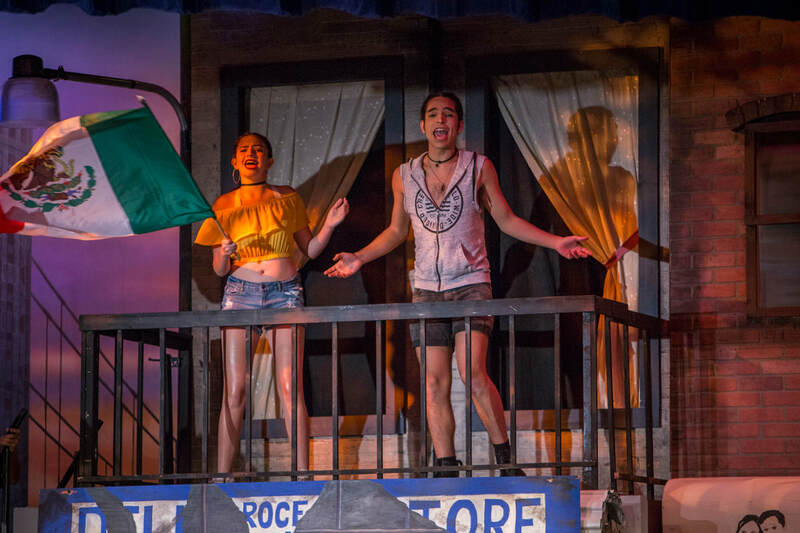 Adrian is excited to be in his second PPTOPA show after The Little Mermaid last summer. 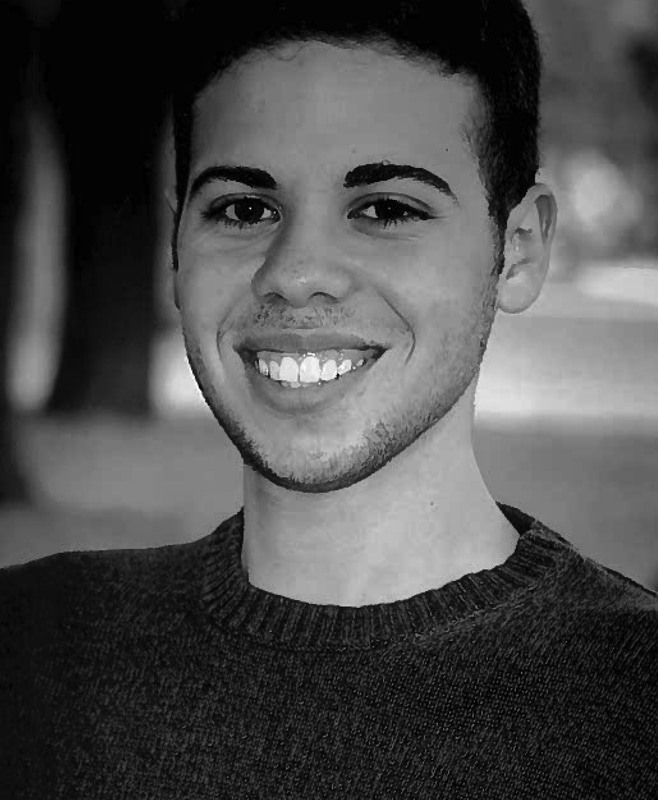 He's an incoming BFA Musical Theatre student to the Hartt School in Hartford, CT. His previous roles include Munkustrap (CATS), and Woof (HAIR). 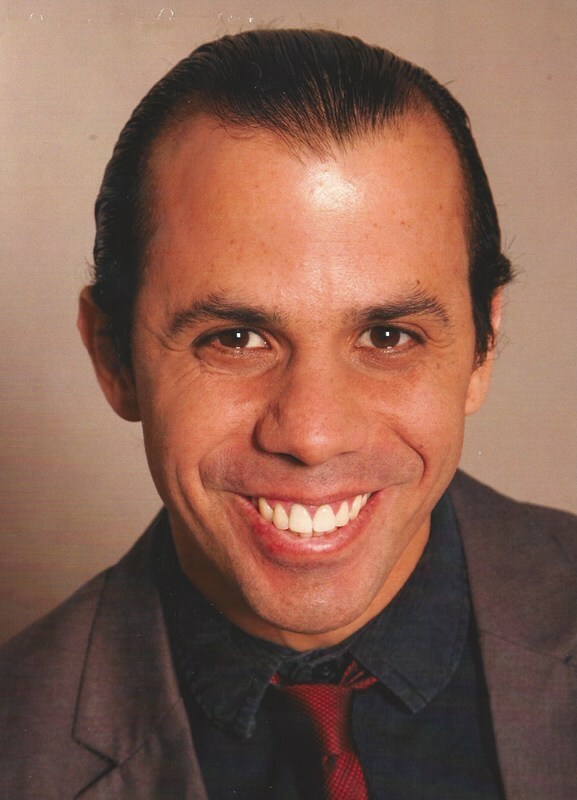 He recently costumed and choreographed HAIR and The Lion King. 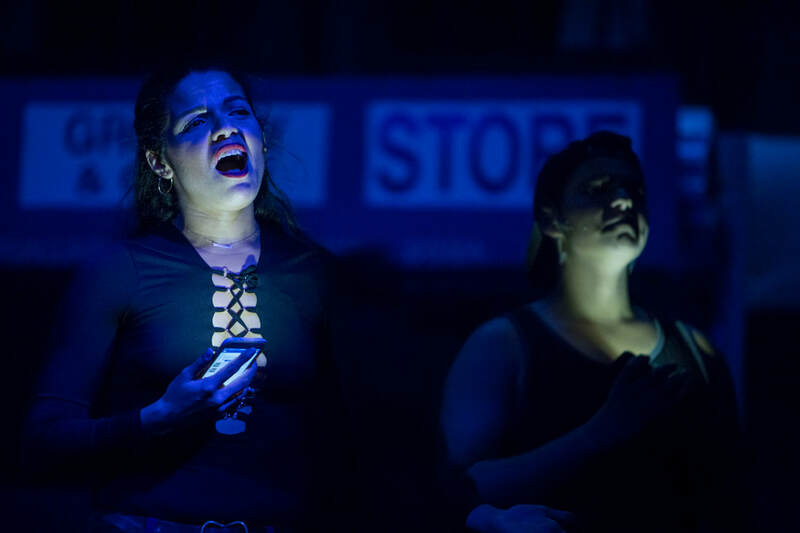 Danielle is delighted to return to the PPTOPA stage after starring in The Little Mermaid as Jetsam. 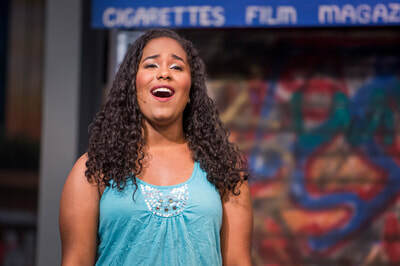 This will be her 15th musical and her favorite roles have included Peter Pan, Rumpleteazer (CATS) and Jojo (Seussical). 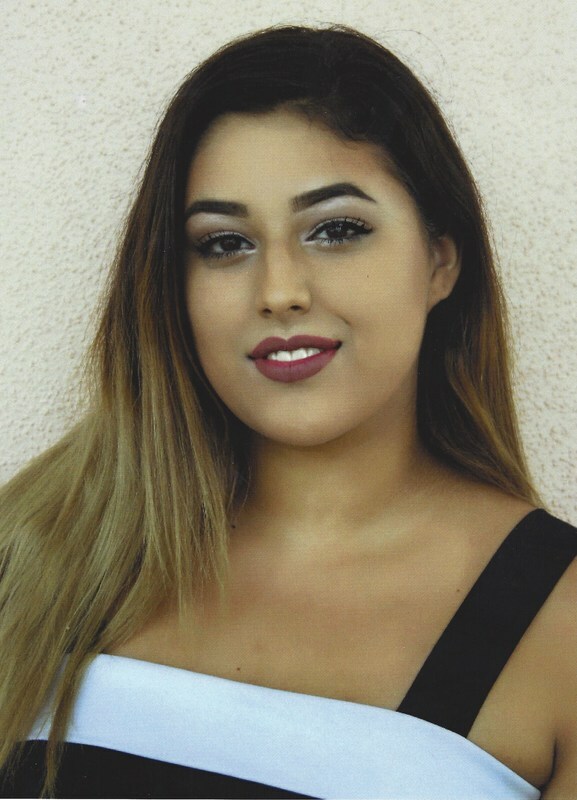 She would like to thank her wonderful family for their love and support.